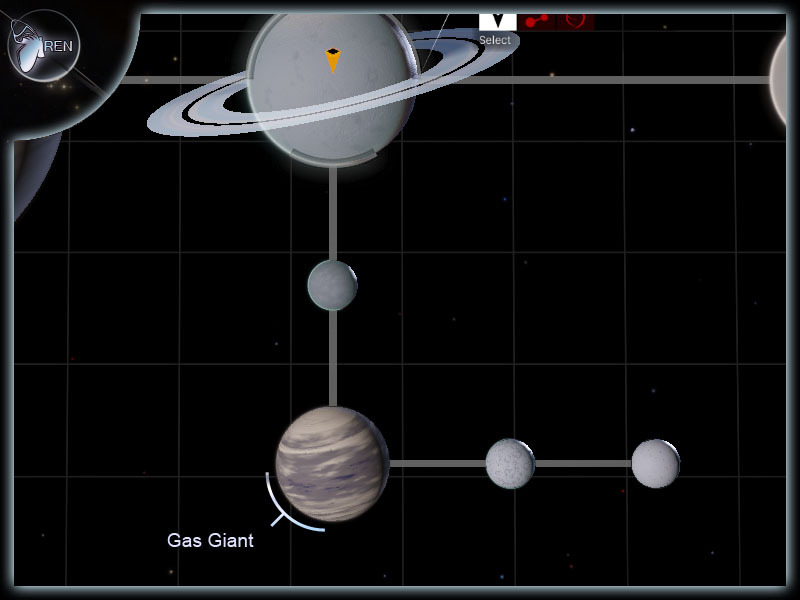 Not all 'Real world' super-giants are in game, and not all made the list, due to size, importance/interest or unable to find. 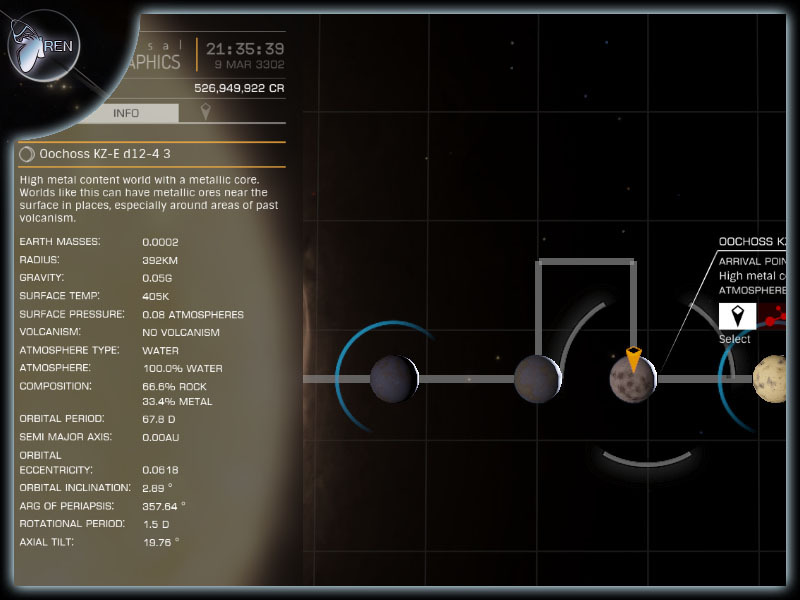 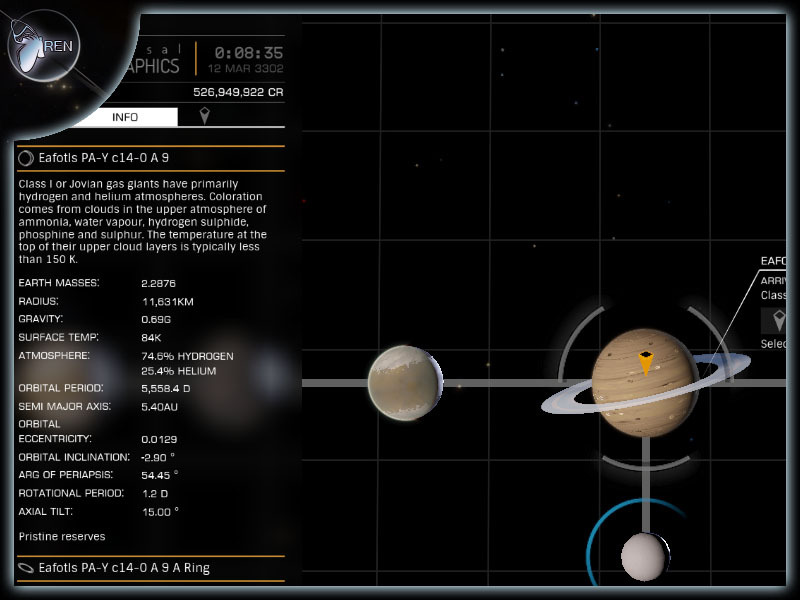 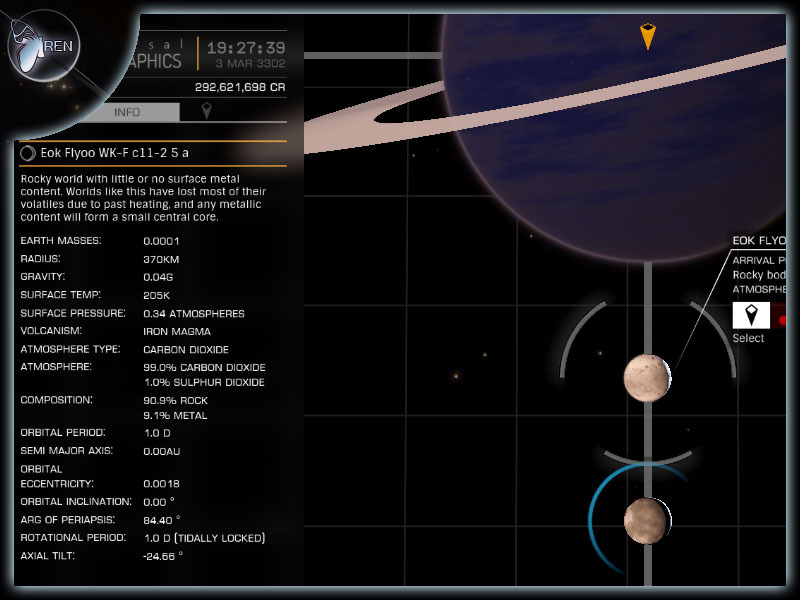 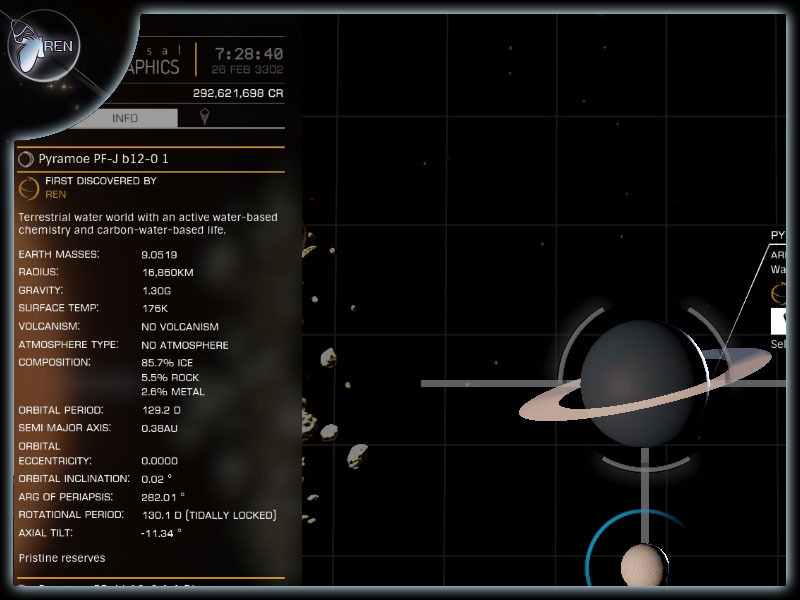 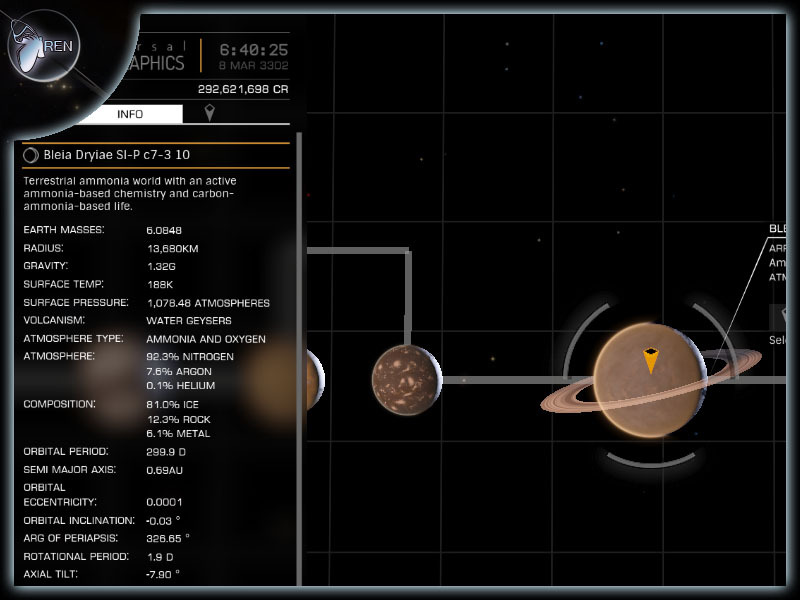 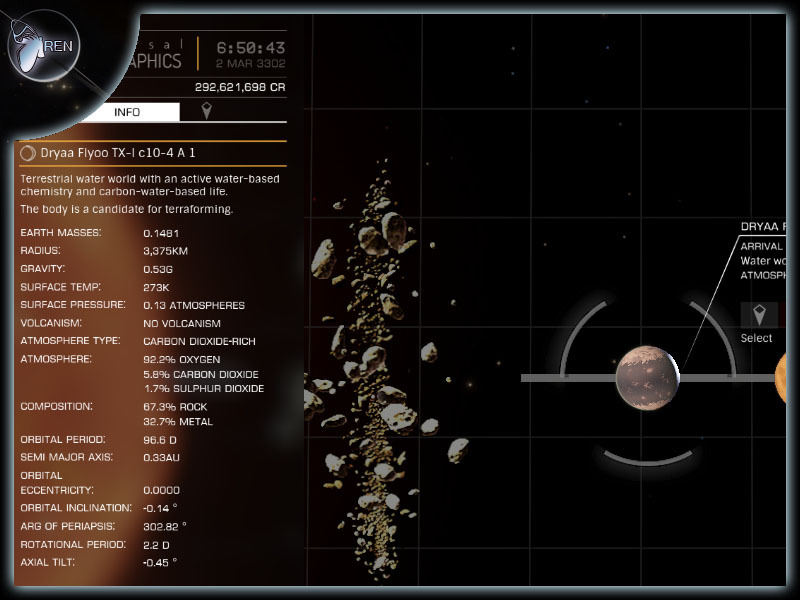 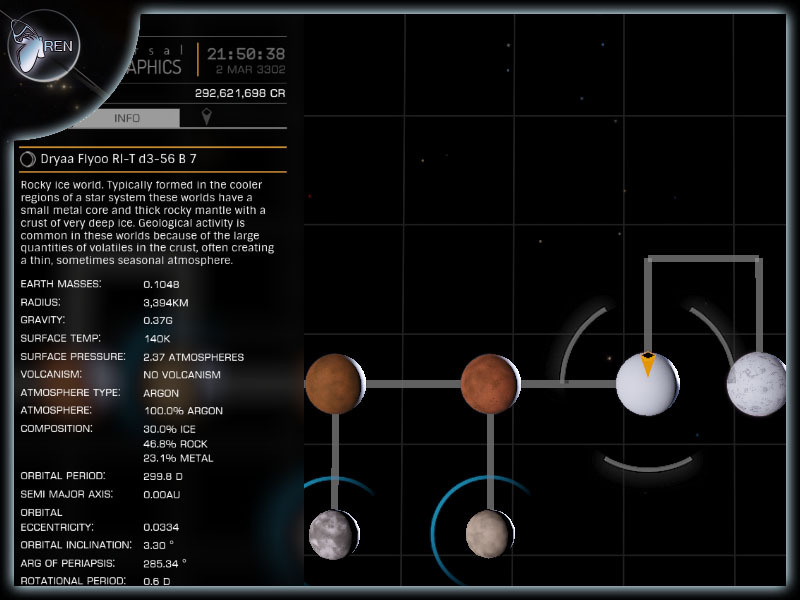 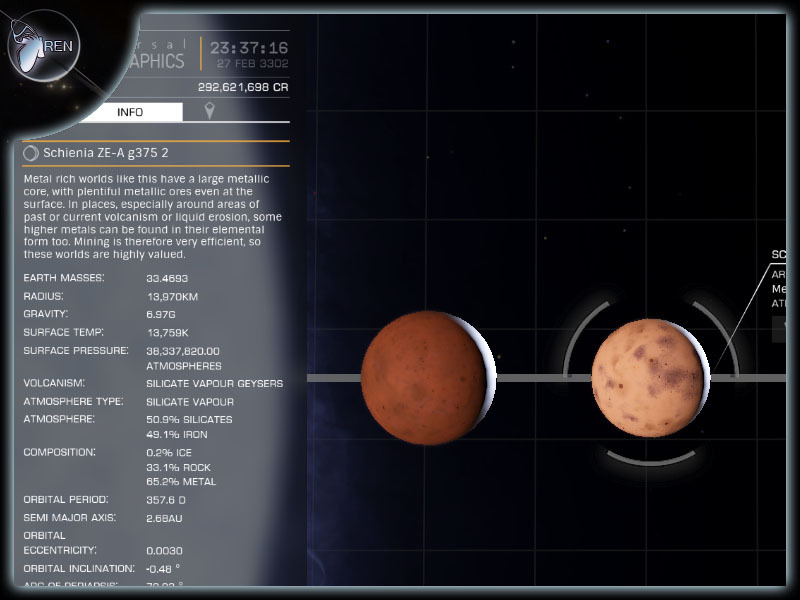 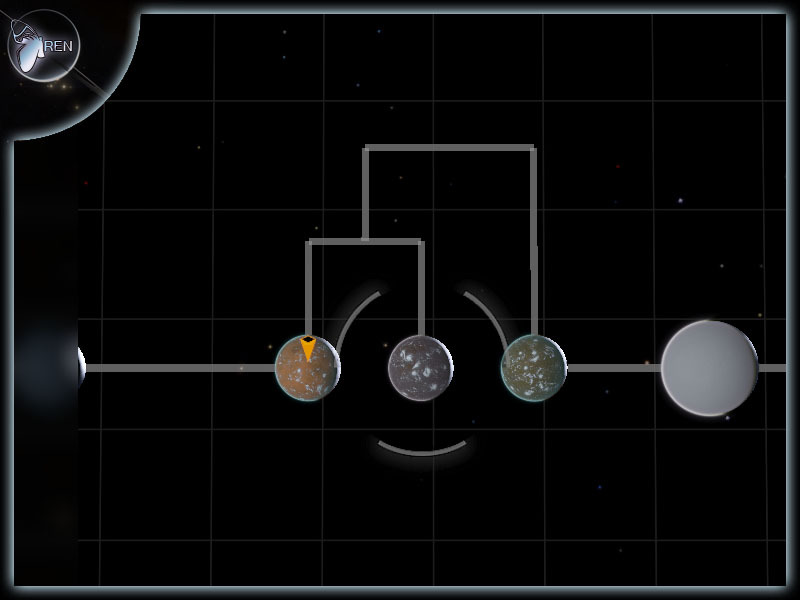 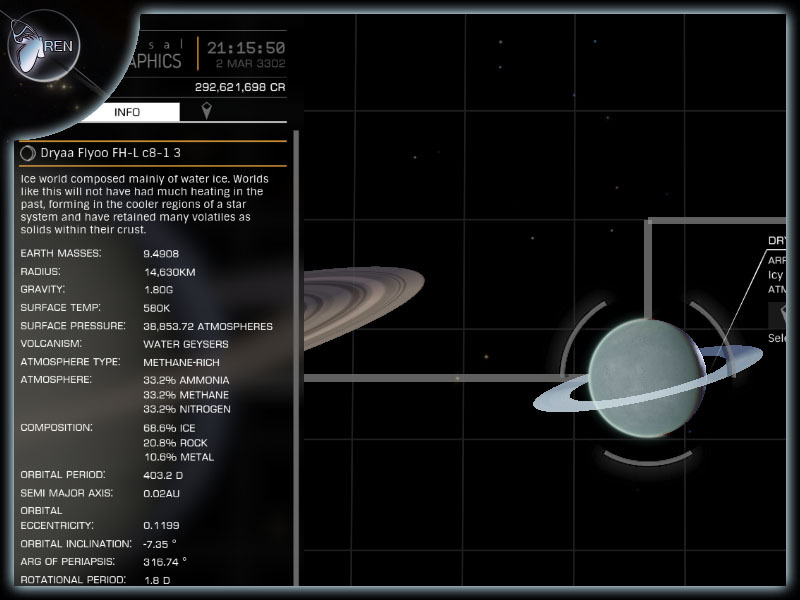 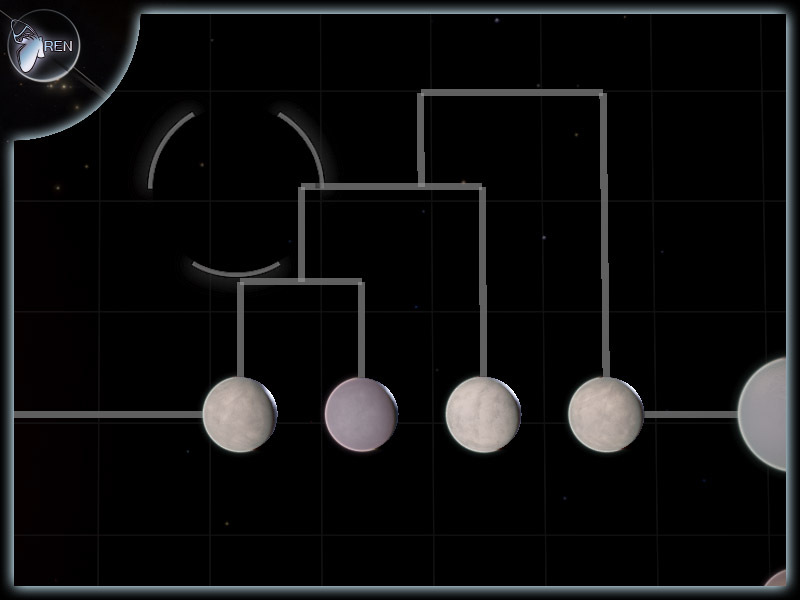 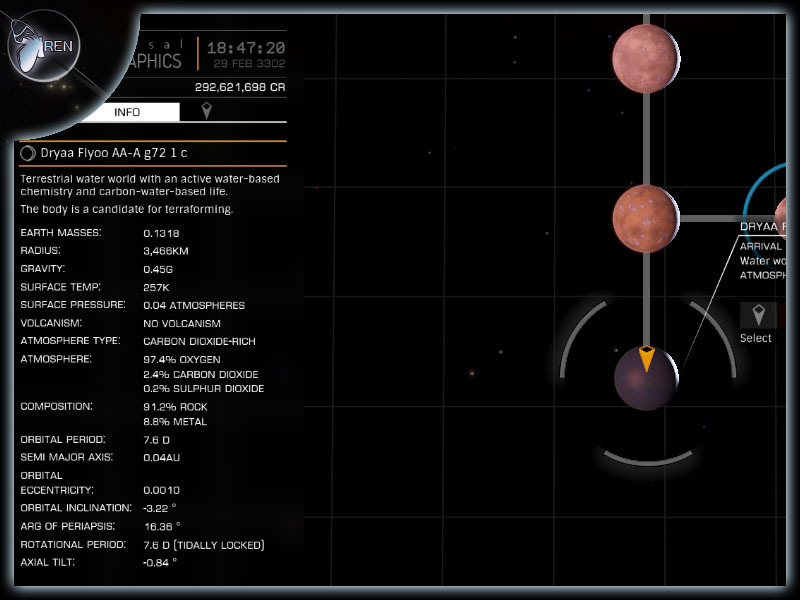 Planet achievements relate to Earth Likes, Water worlds and Ammonia Worlds. 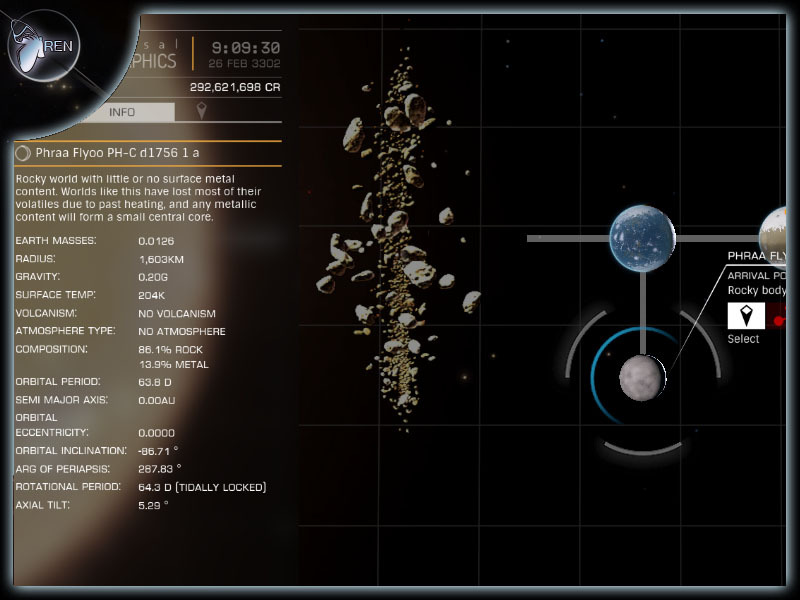 Rocky, Ice, High Mental Contain and Metal Rich bodies. 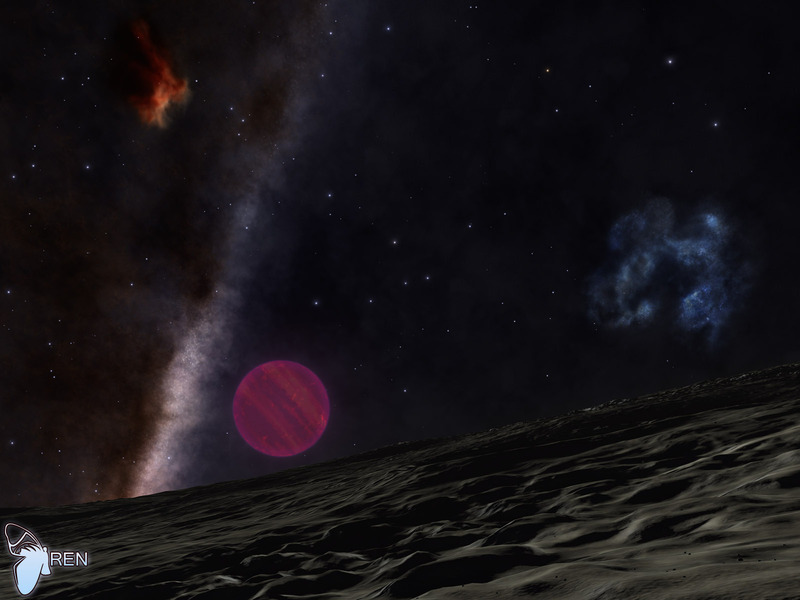 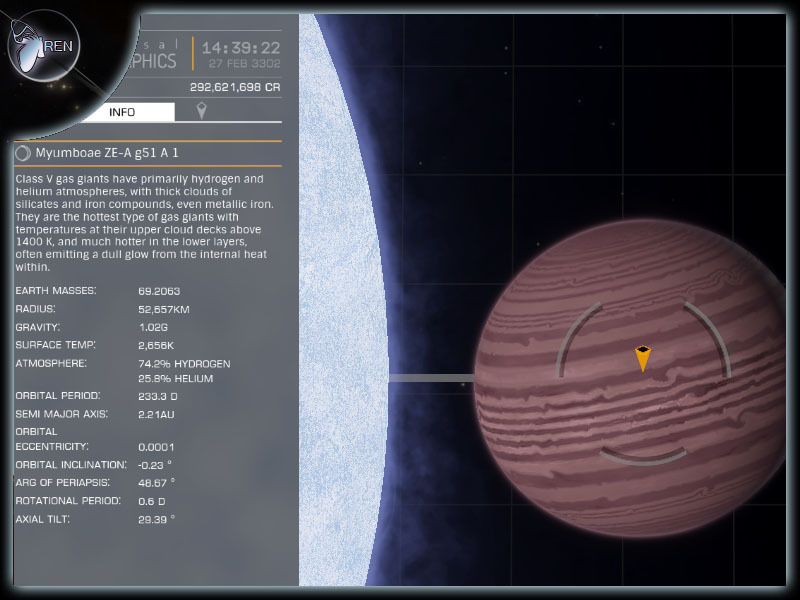 Any Earth Like around a 'L', 'T', 'Y', brown dwarf star. 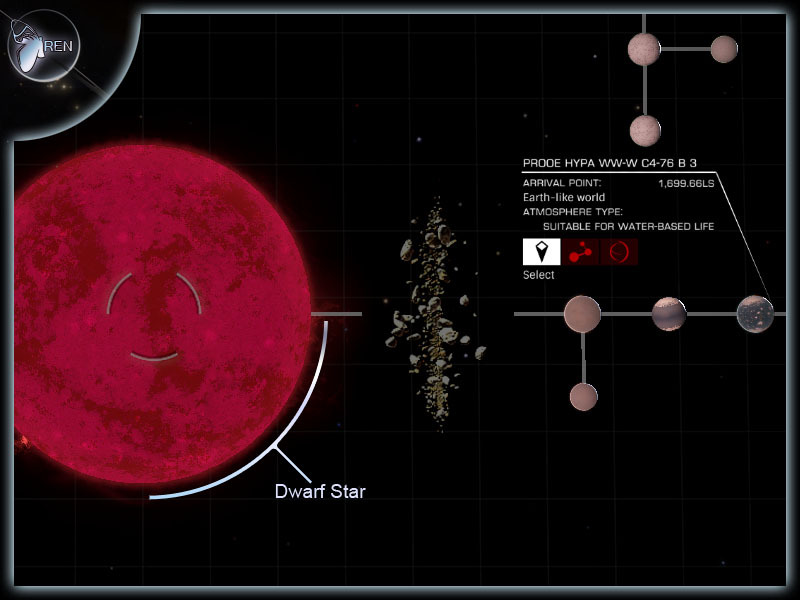 Other stars can be in the system, but the Earth like must be orbiting a dwarf. 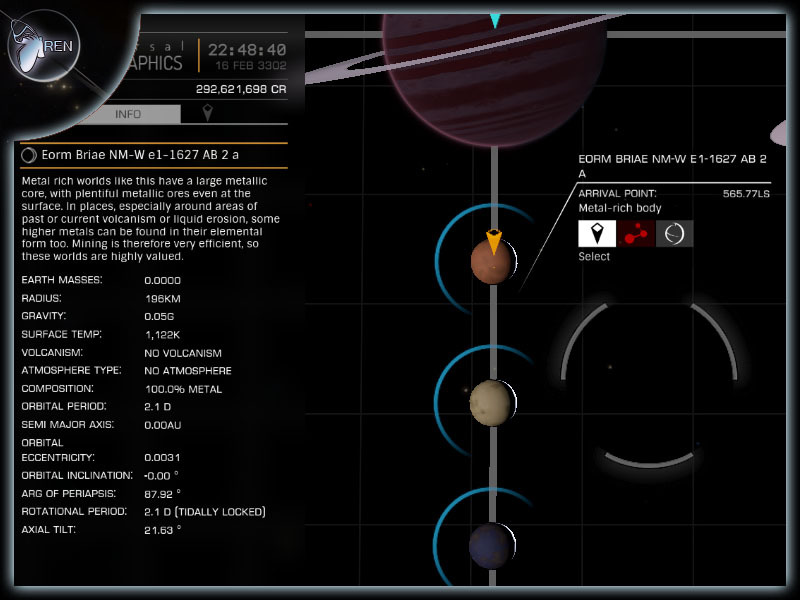 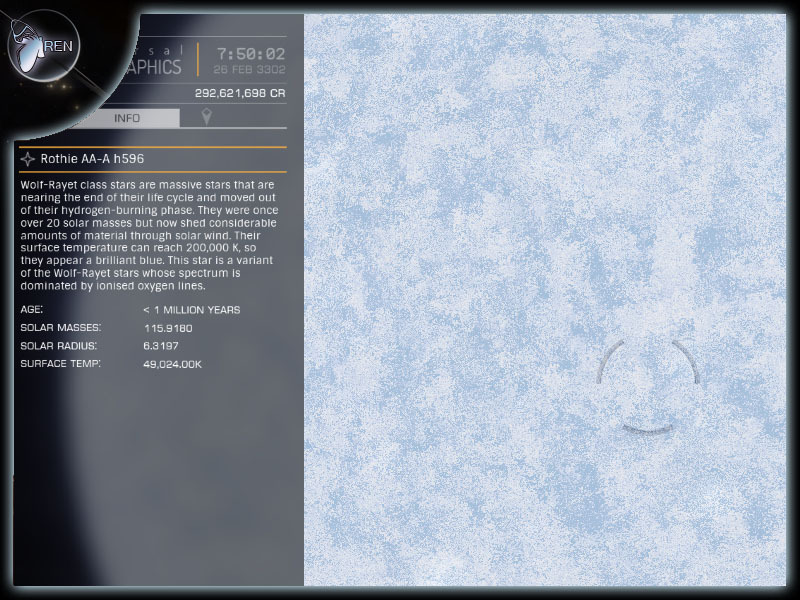 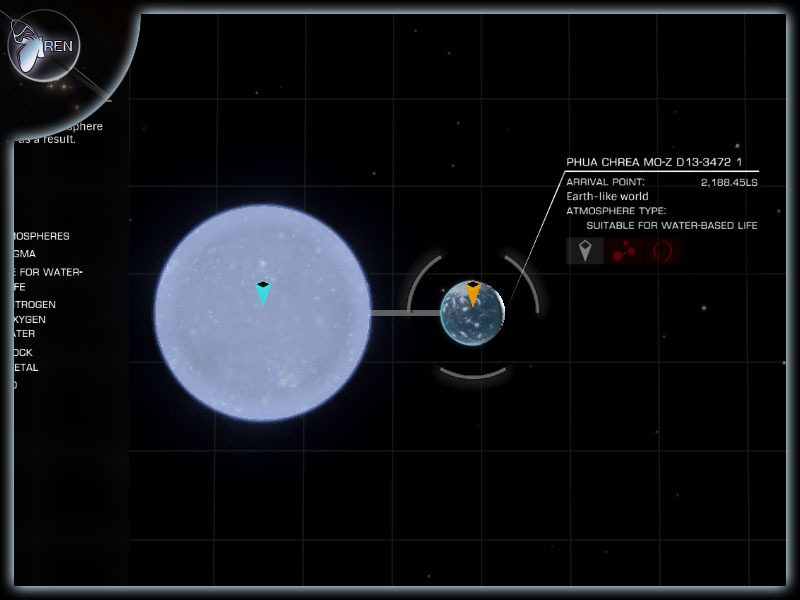 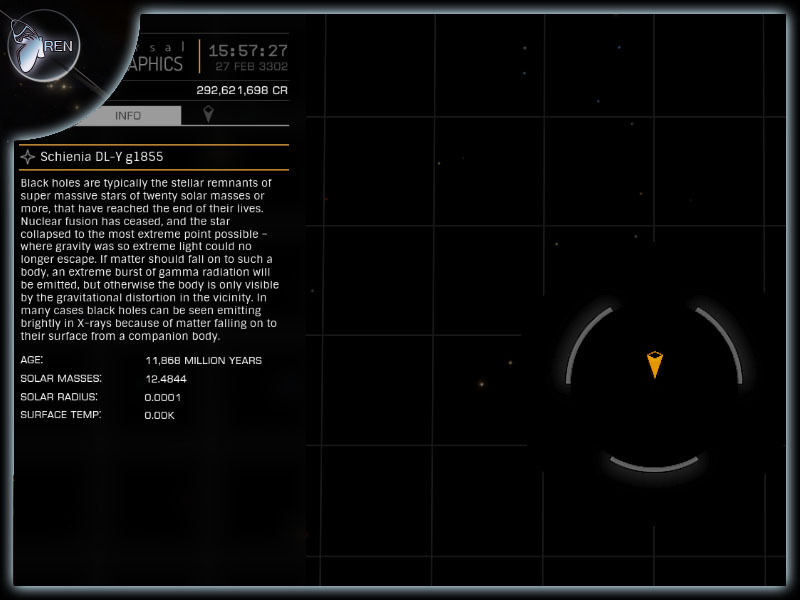 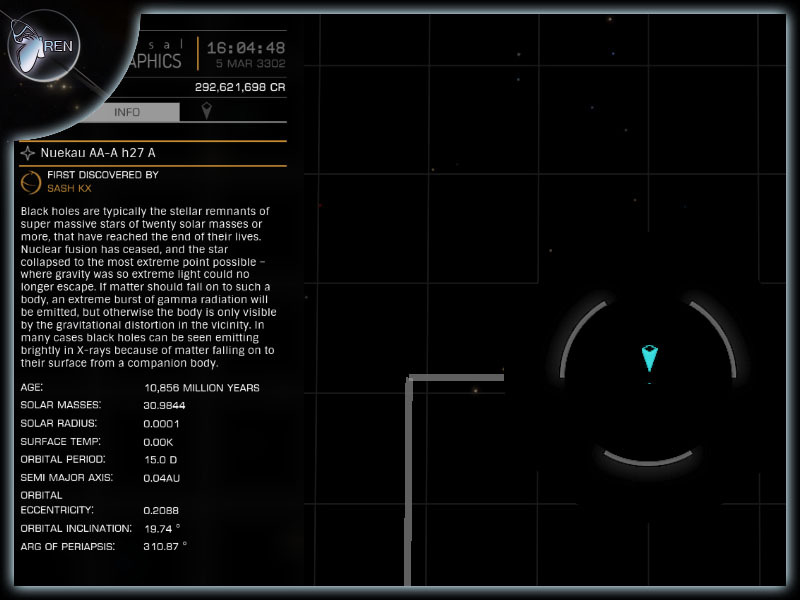 Any Earth Like world at least 2,000 Ly from Sol. 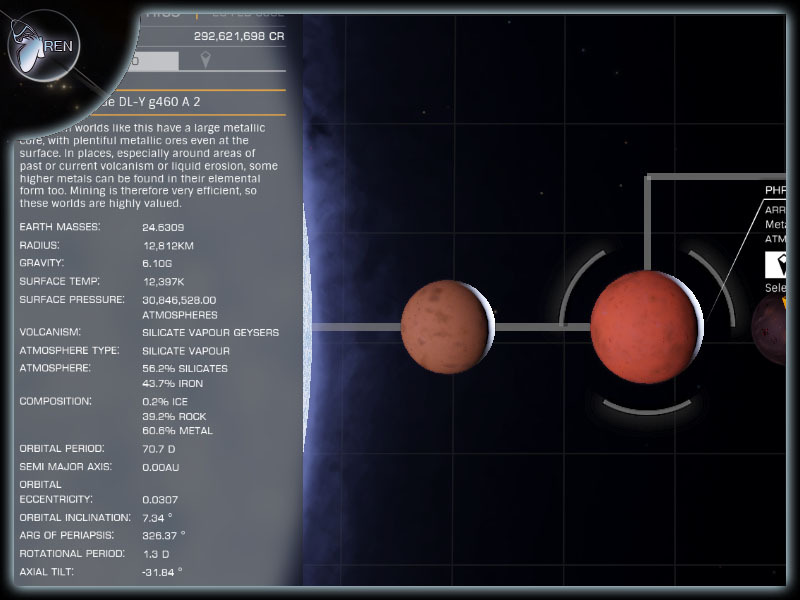 3 planets orbiting each other. 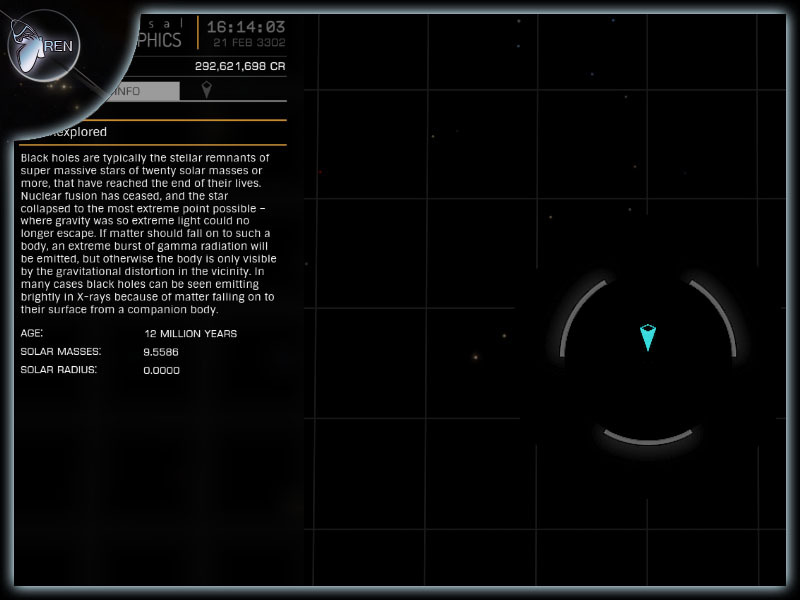 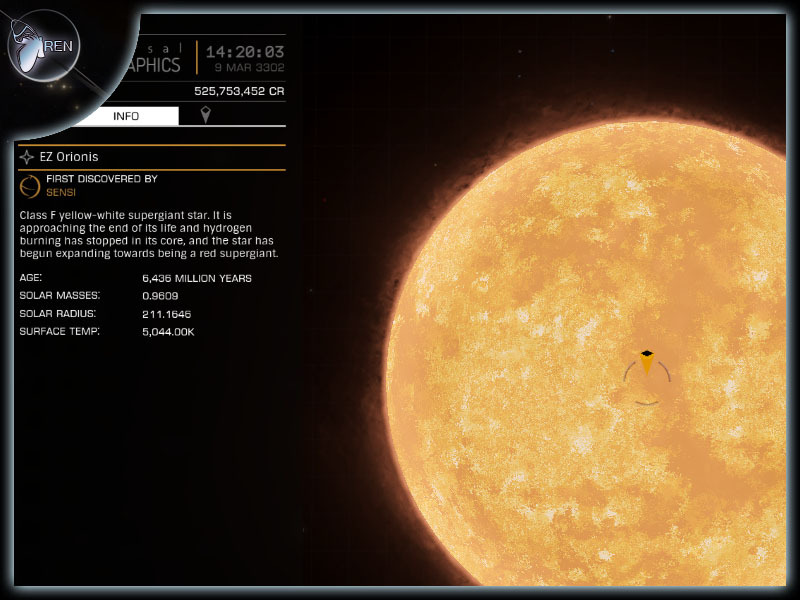 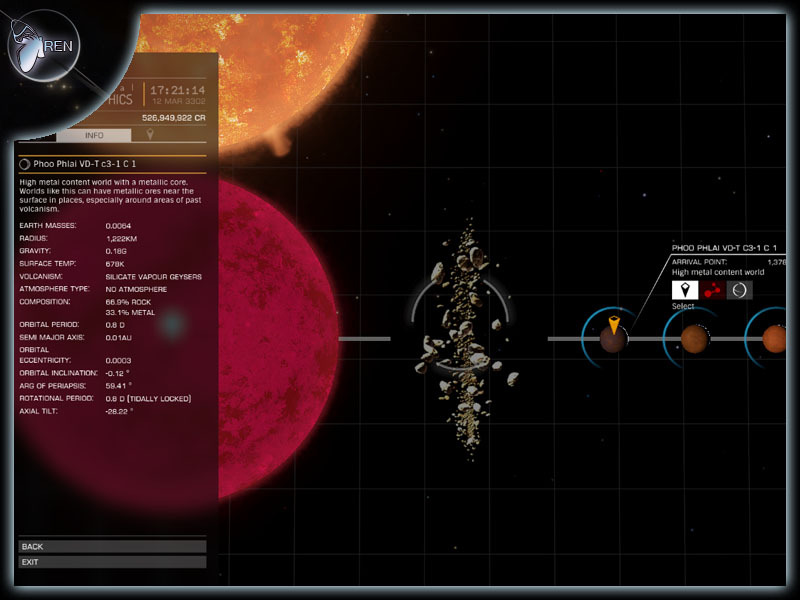 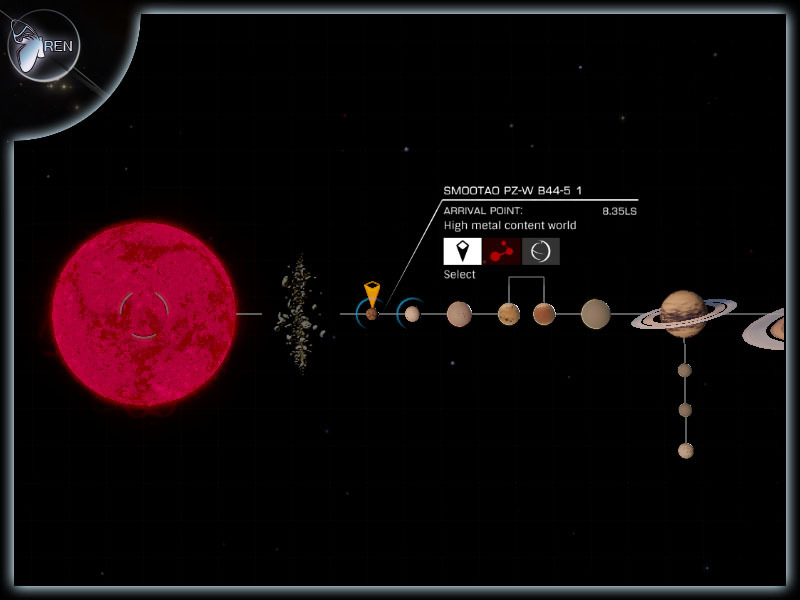 Any planet 50Ls or less from a stellar remnant (Arrival point). 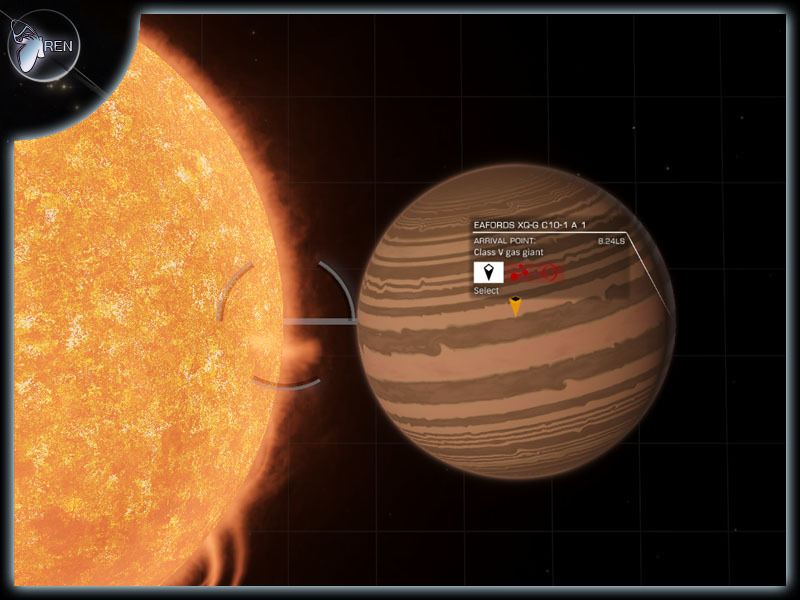 Stellar remnants include White Dwarfs, Black Holes and neutron stars. 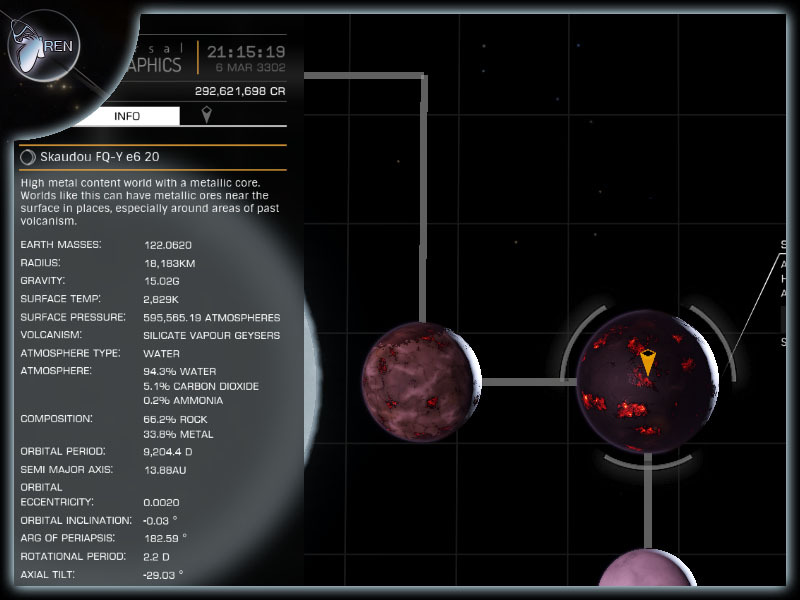 Any non-gas planet with 4.5g or more, you do not have to land on it but it must be a 'Land-able' planet. 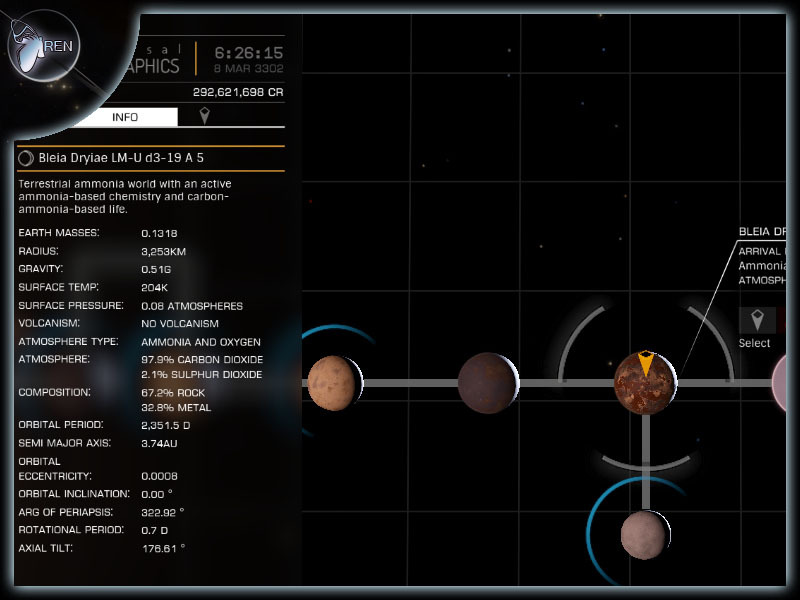 Any non-gas planet with 9.0g or more, you do not have to land on it but it must be a 'Land-able' planet. 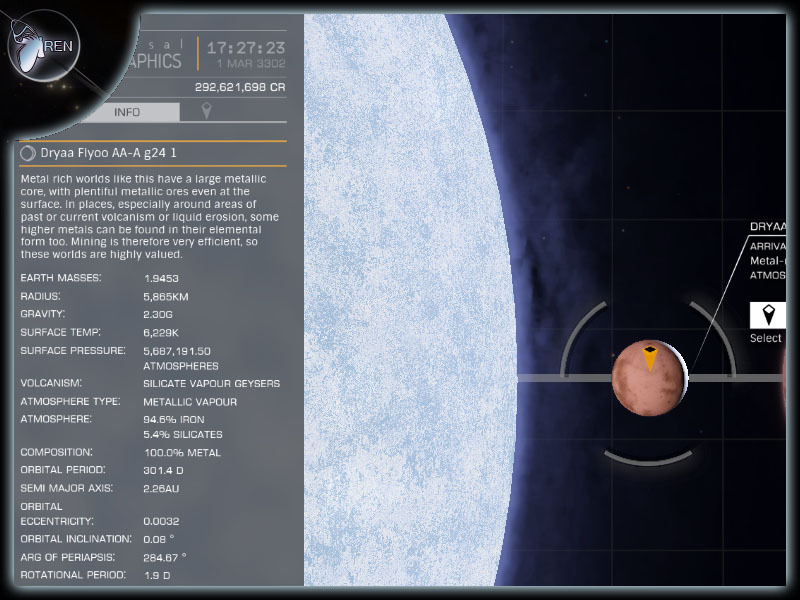 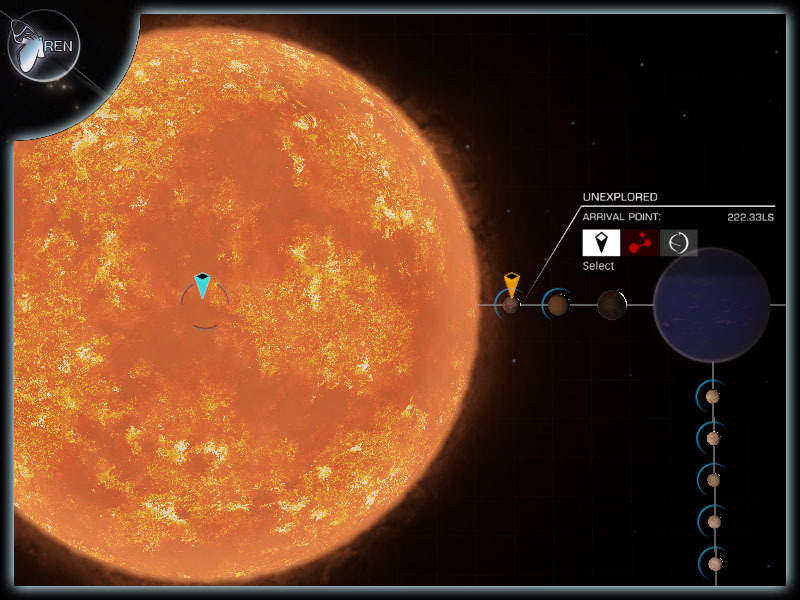 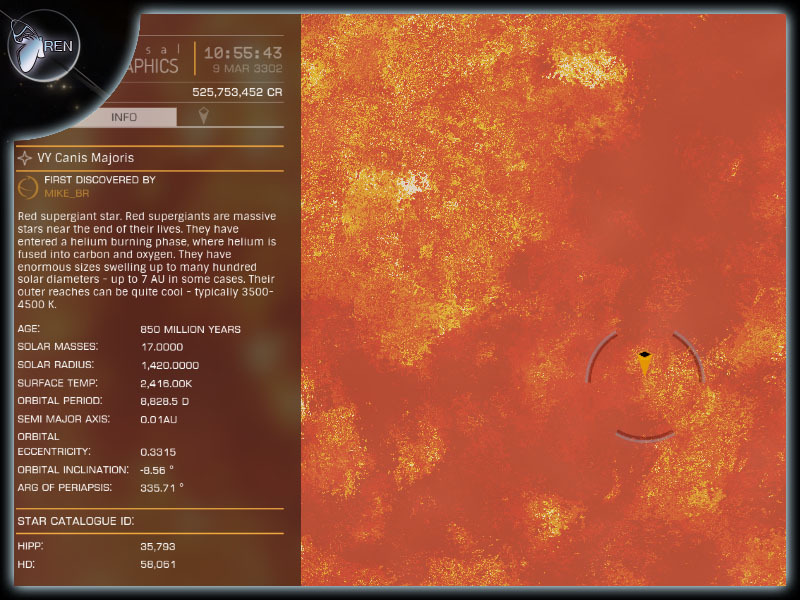 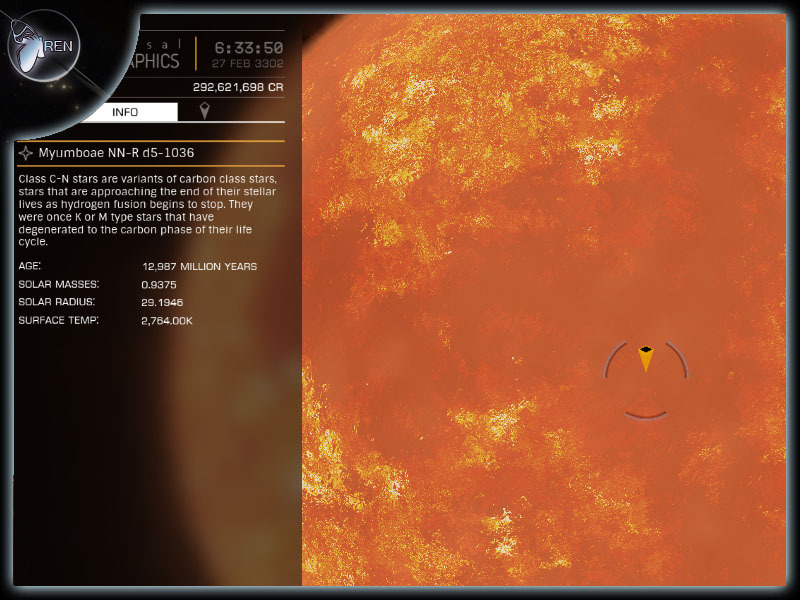 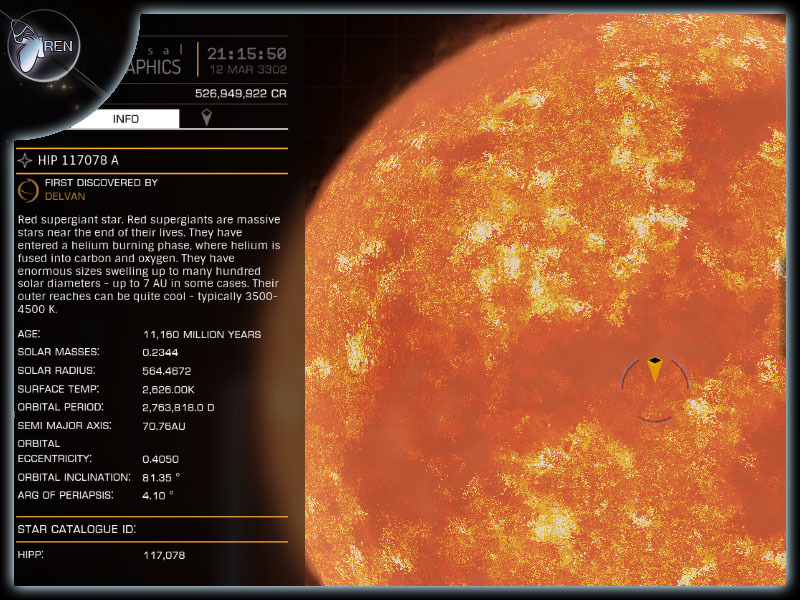 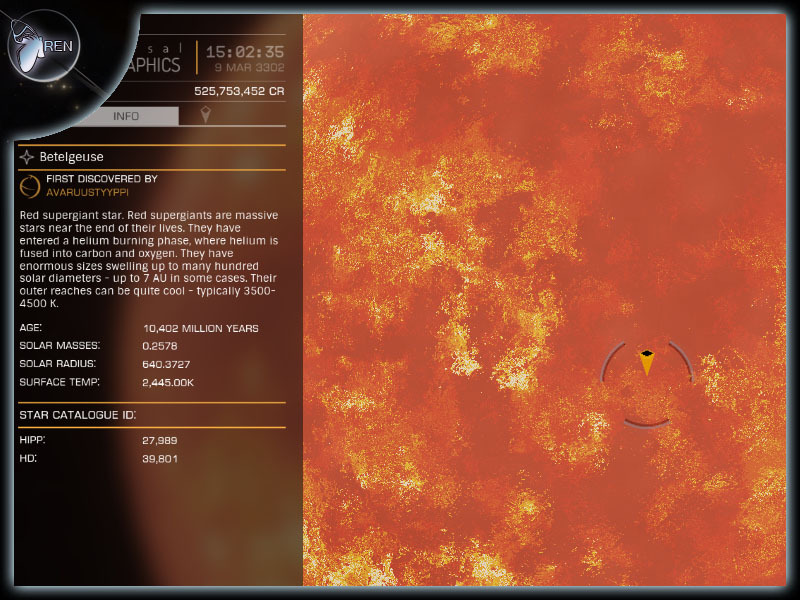 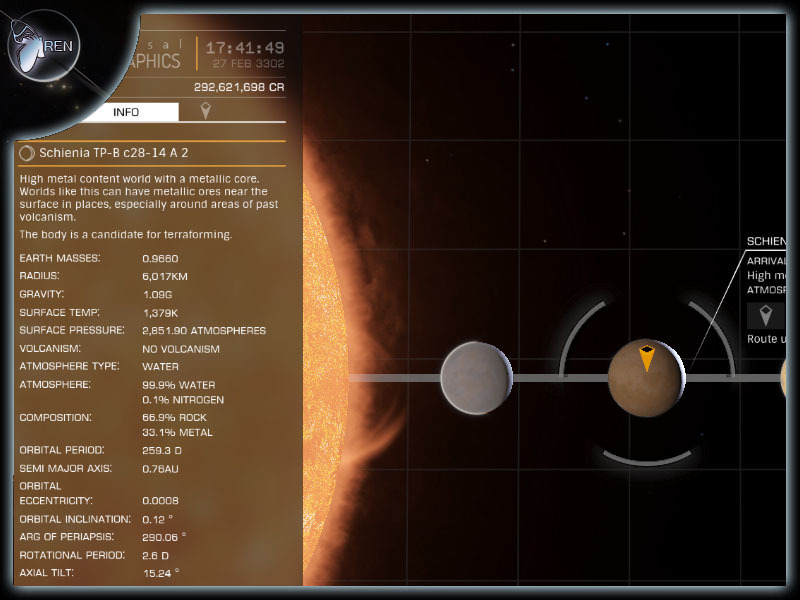 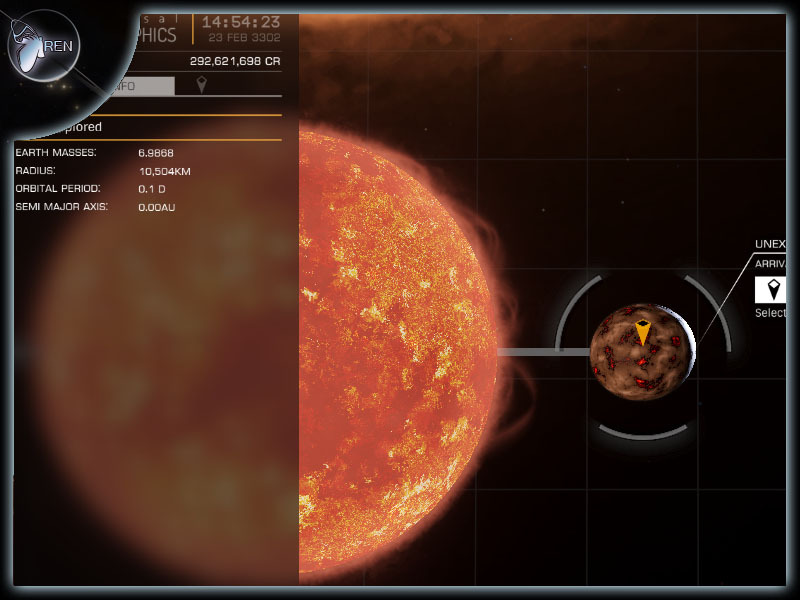 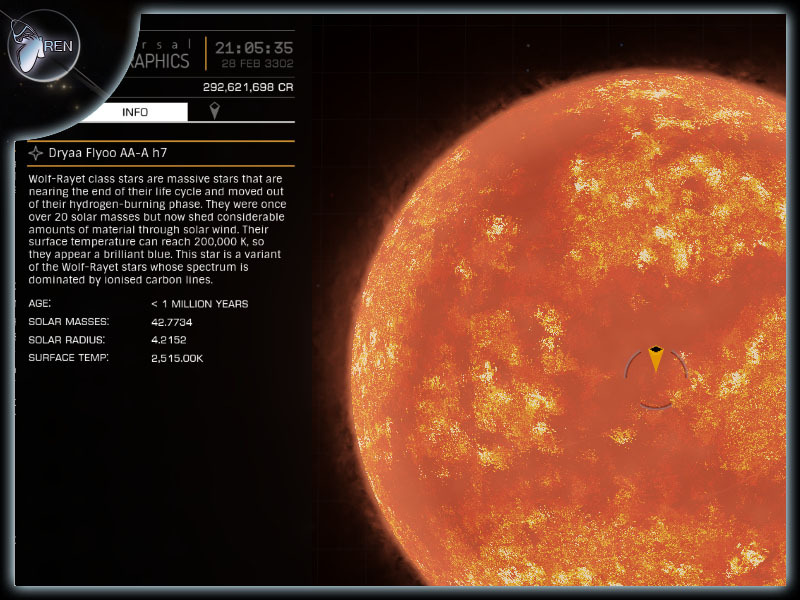 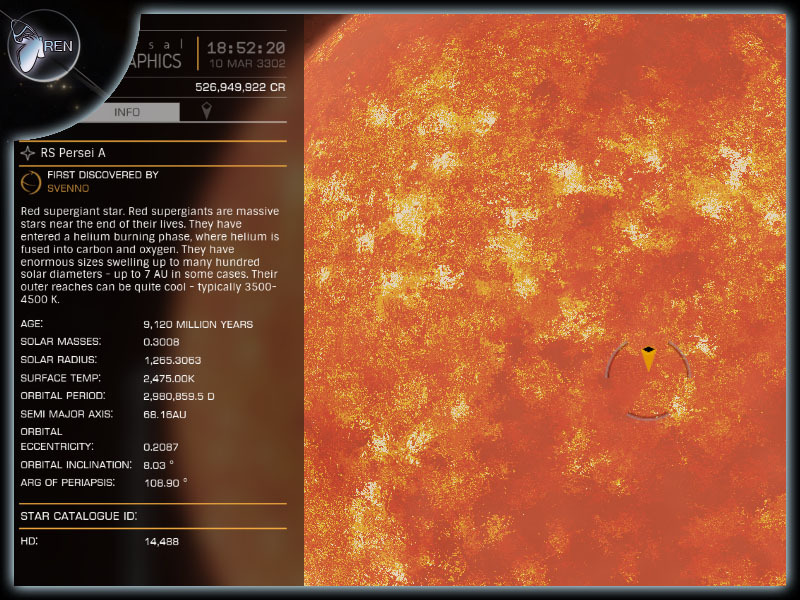 Any non-gas planet with a surface temperature of 2,500 K or higher. 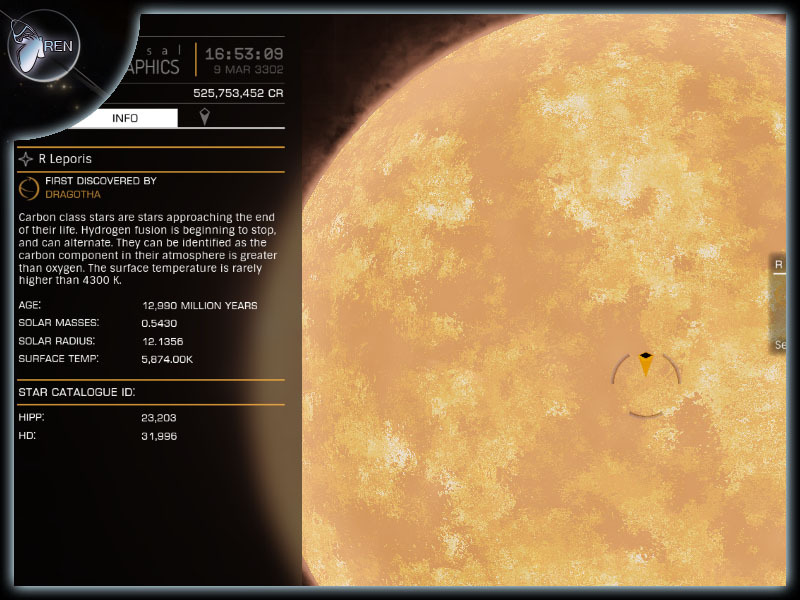 Any non-gas planet with a surface temperature of 10,000 K or higher. 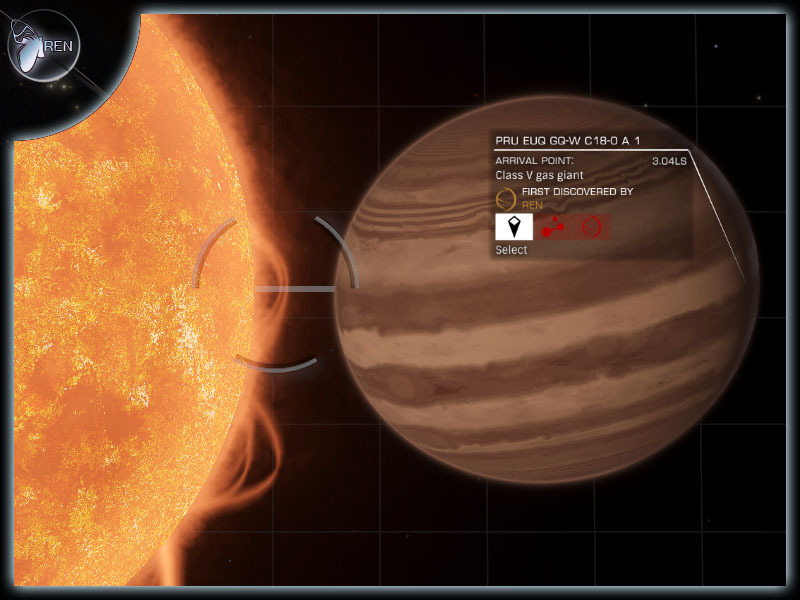 Any Gas Giant with a surface temperature of 2,500 K or higher. 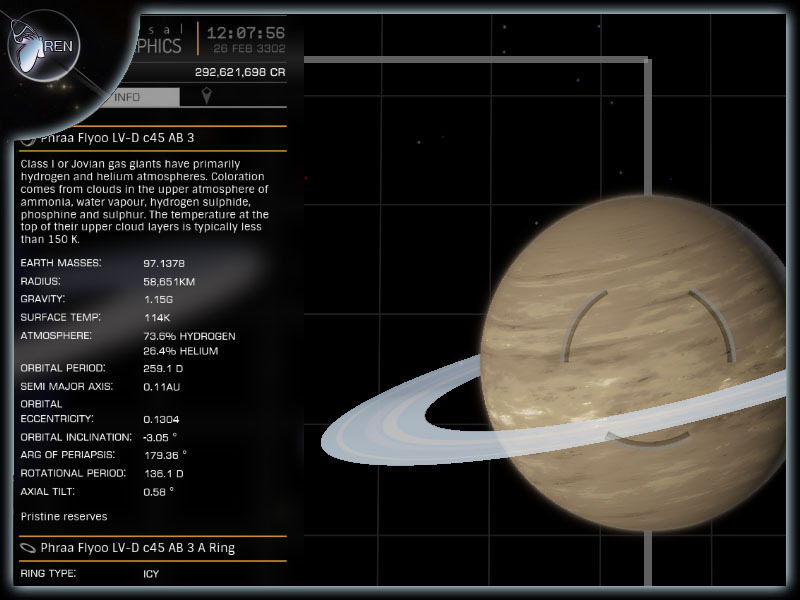 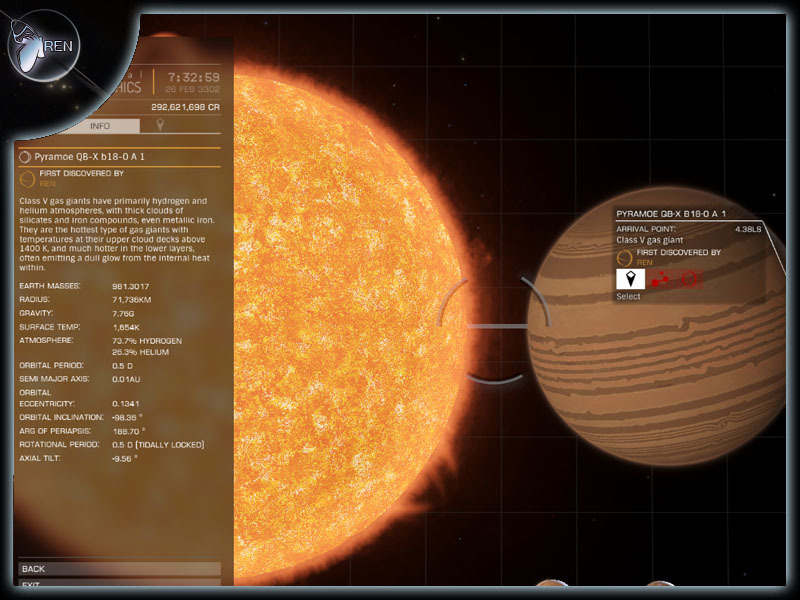 Any Gas Giant with a surface temperature of 7,500 K or higher. 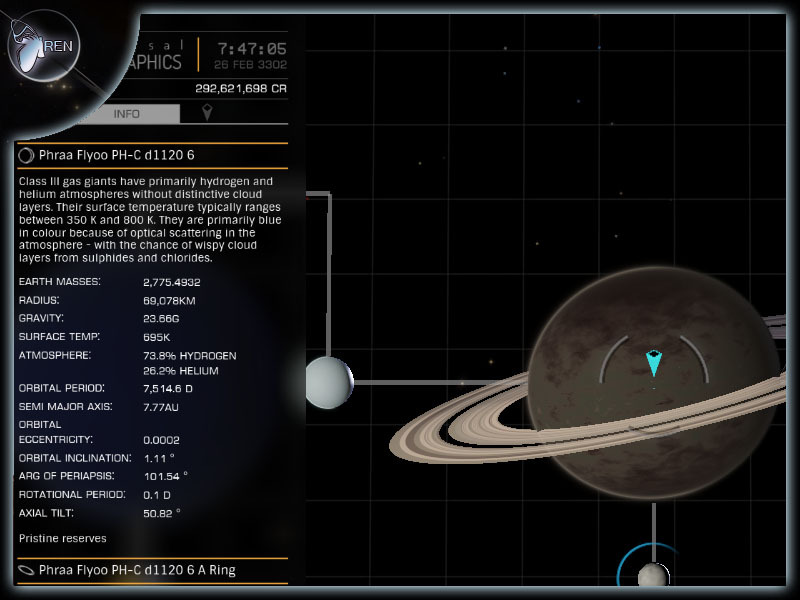 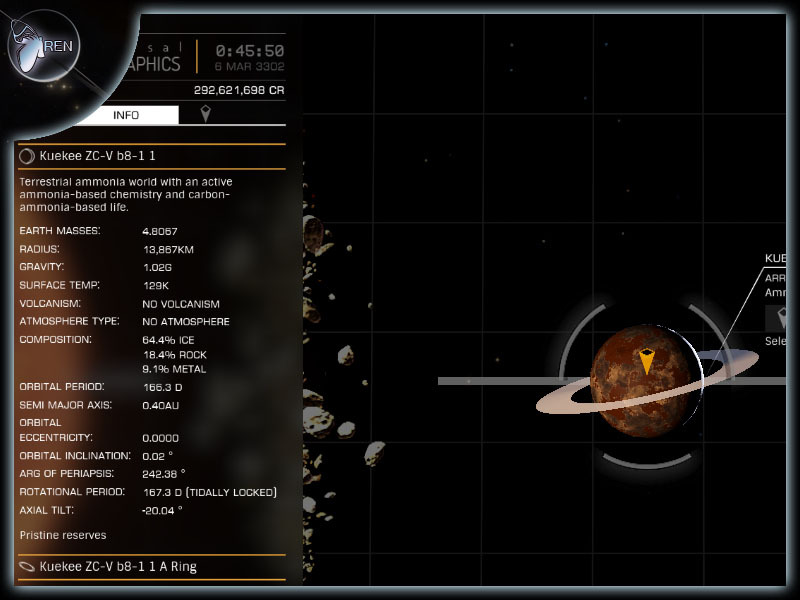 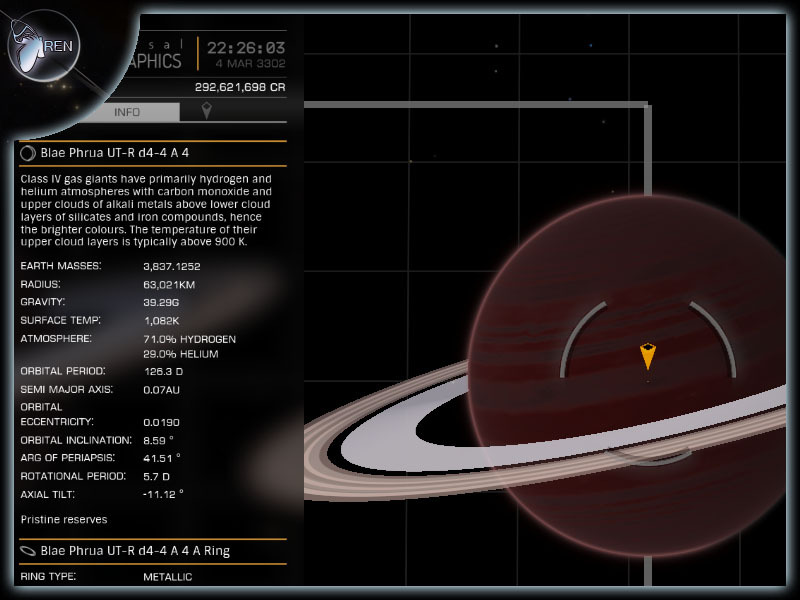 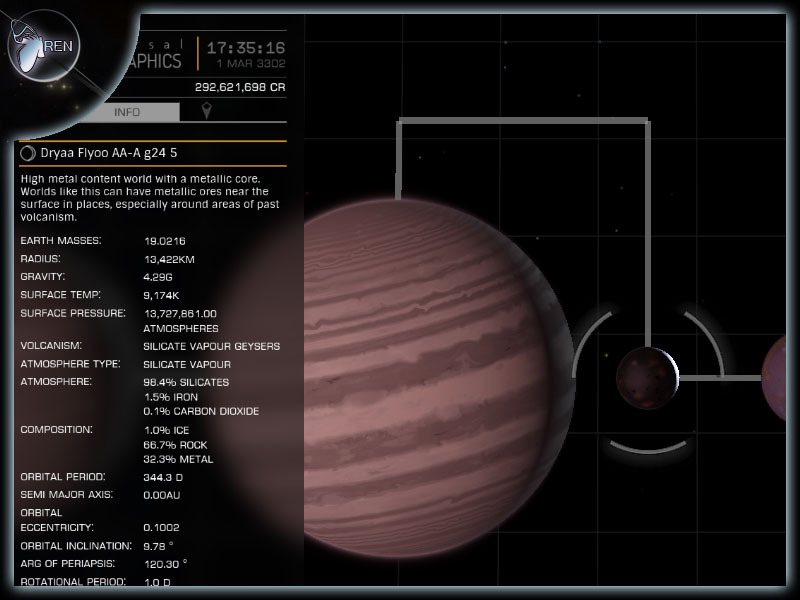 Any non-gas planet with 95% to 100% Metallic vapour atmosphere and 1 Million (1,000,000) or more surface pressure. 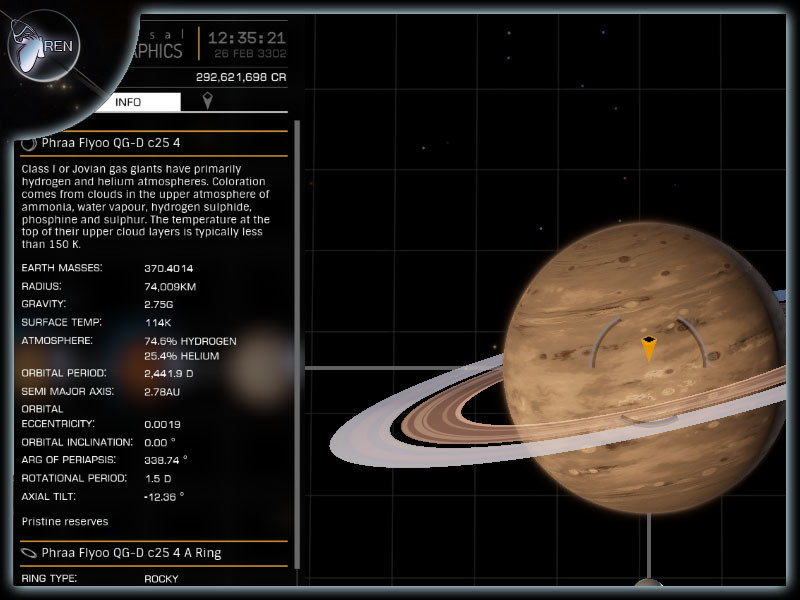 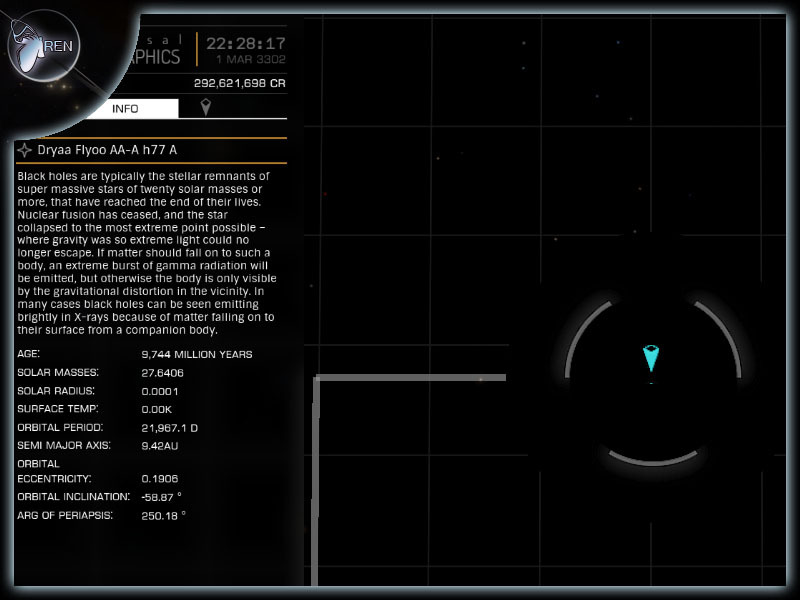 Any non-gas planet with 95% to 100% silicate vapour atmosphere and 500,000 or more surface pressure. 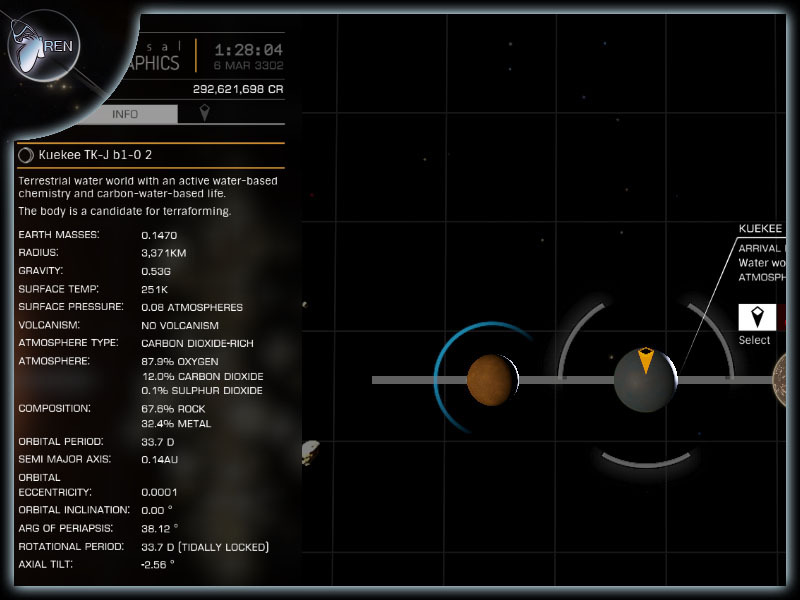 Any non-gas planet with 95% to 100% water atmosphere and 1,000 or more surface pressure. 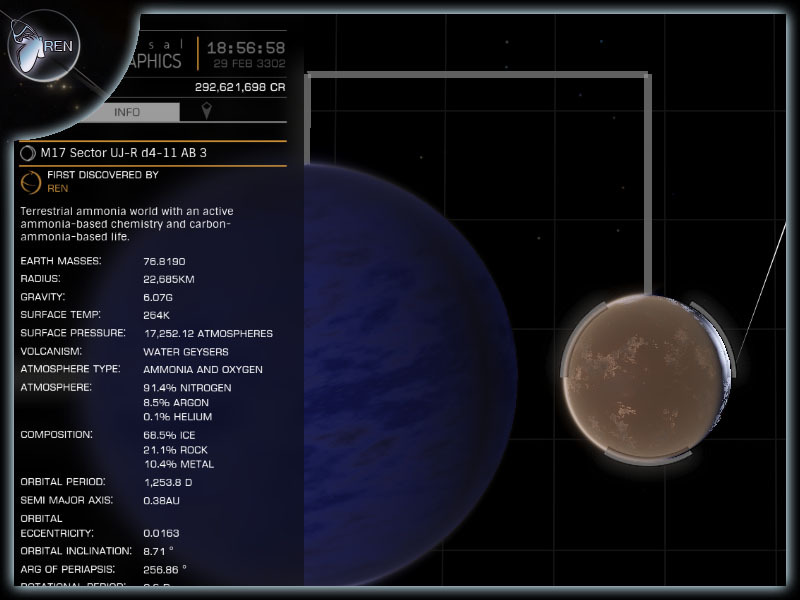 Any non-gas planet with 95% to 100% Methane atmosphere and 500 or more surface pressure. 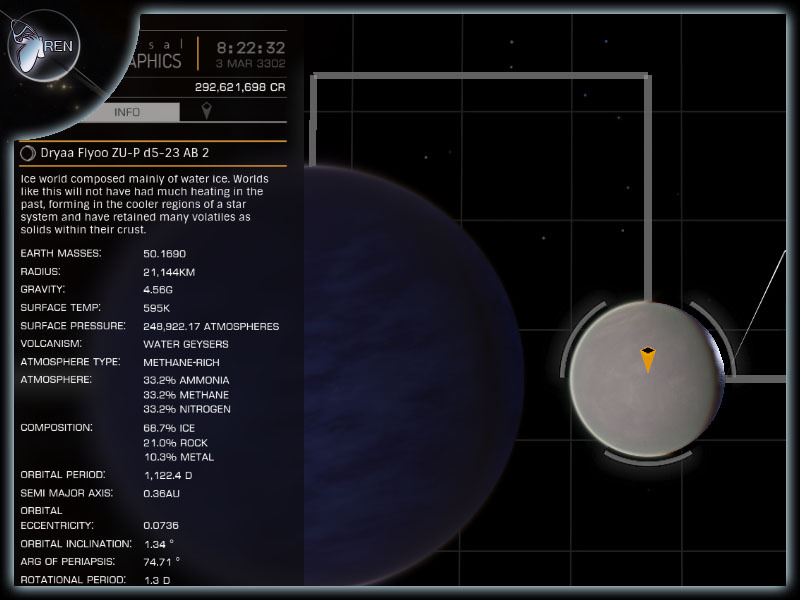 Any non-gas planet with 95% to 100% Nitrogen atmosphere and 500 or more surface pressure. 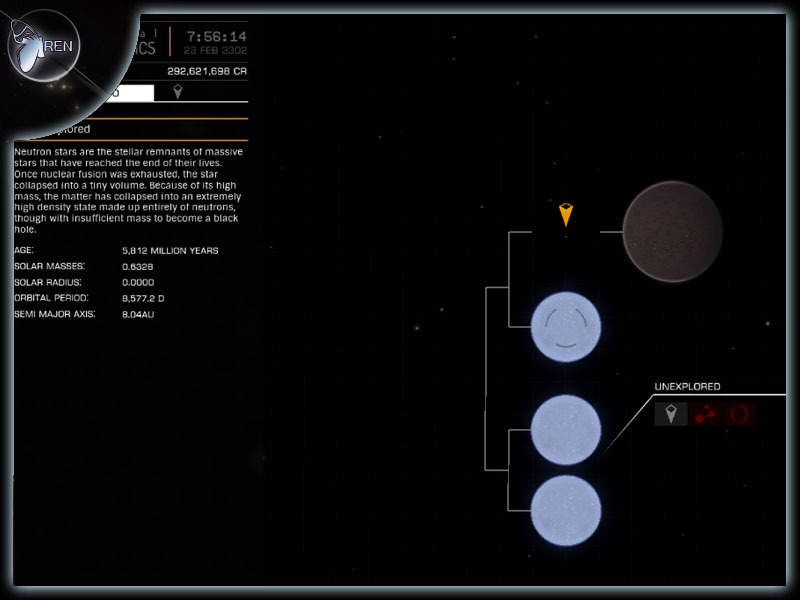 Any non-gas planet with 95% to 100% Carbon-Dioxide atmosphere and 500 or more surface pressure. 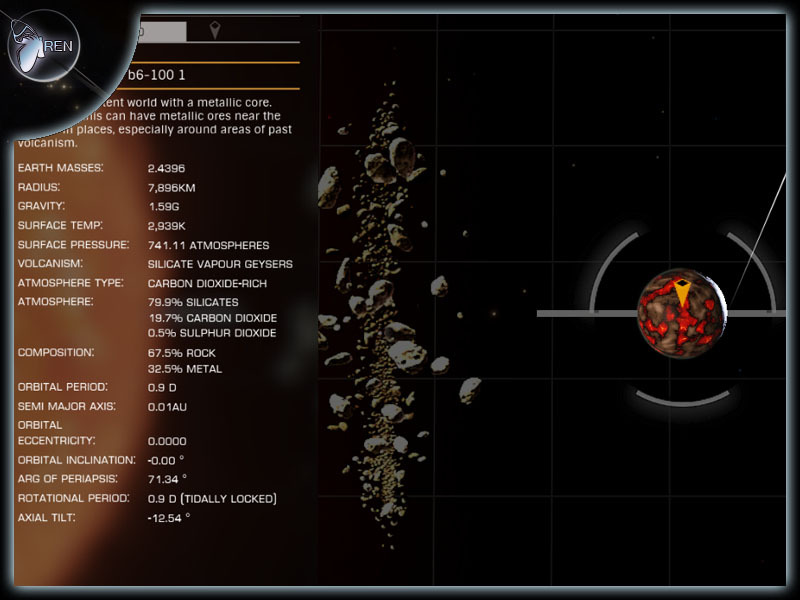 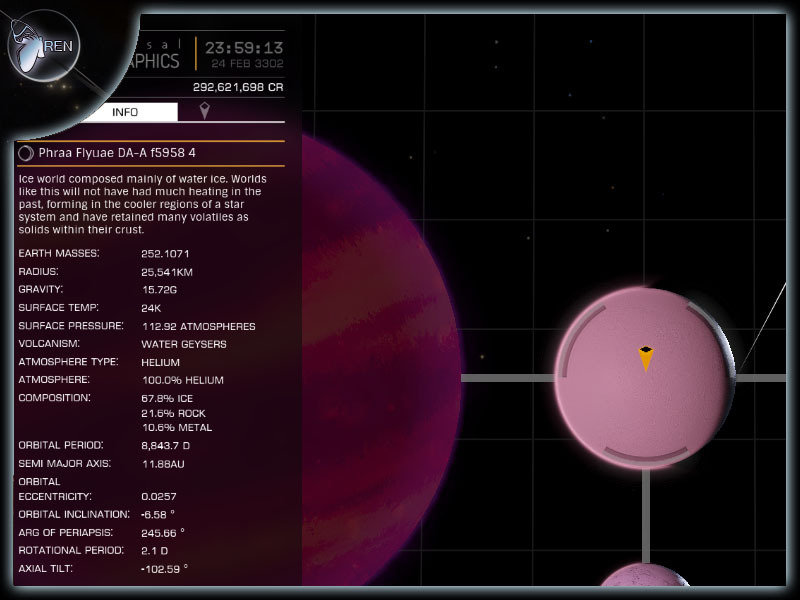 Any non-gas planet with 100% Sulphur-Dioxide atmosphere and 5 or more surface pressure. 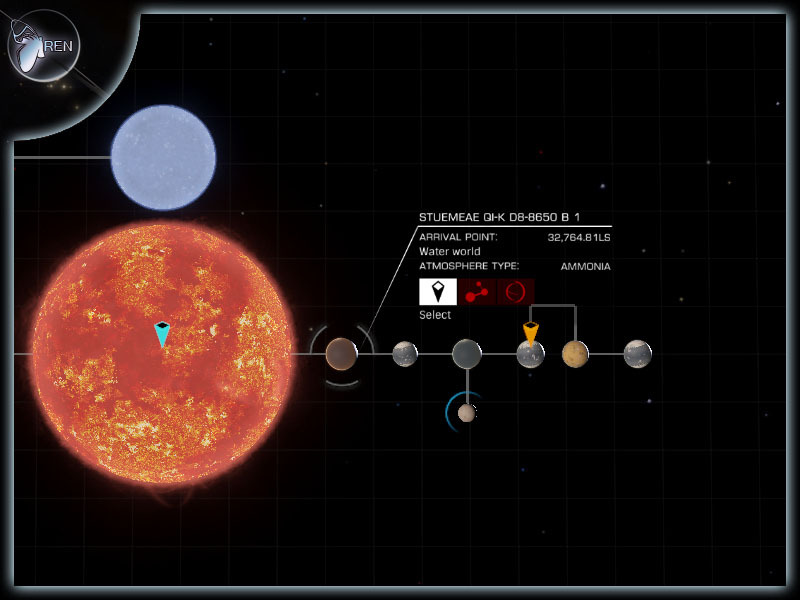 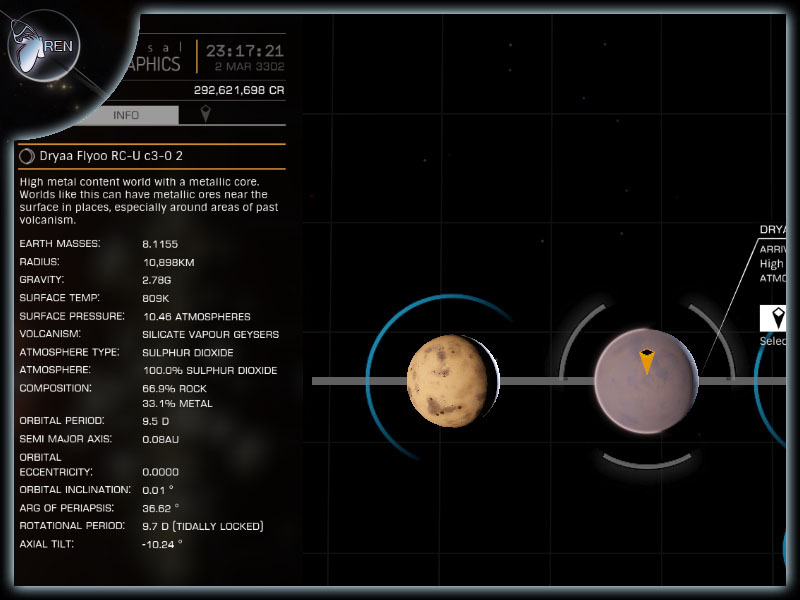 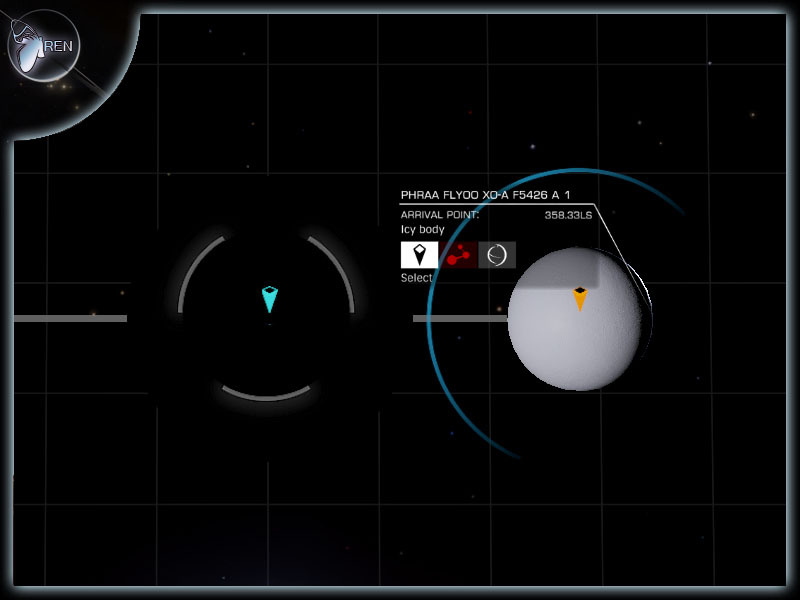 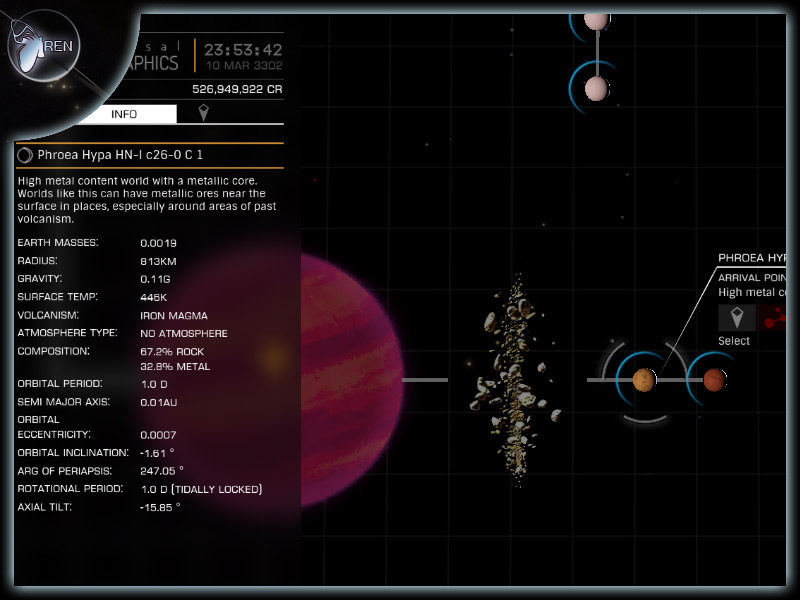 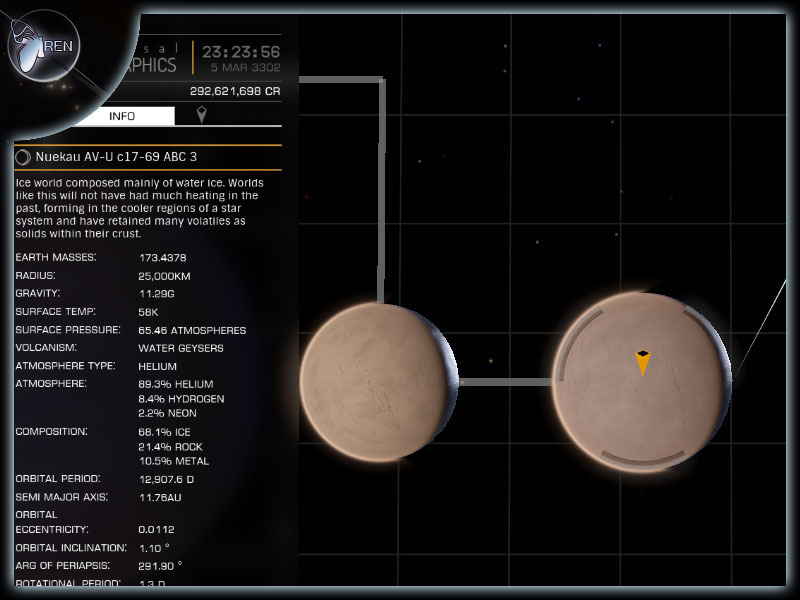 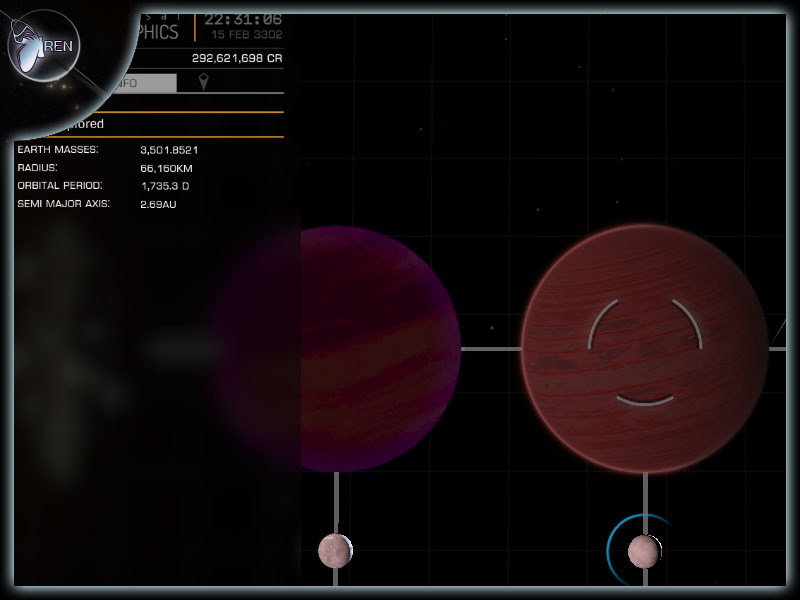 Any non-gas planet with 95% to 100% Ammonia atmosphere and 4 or more surface pressure. 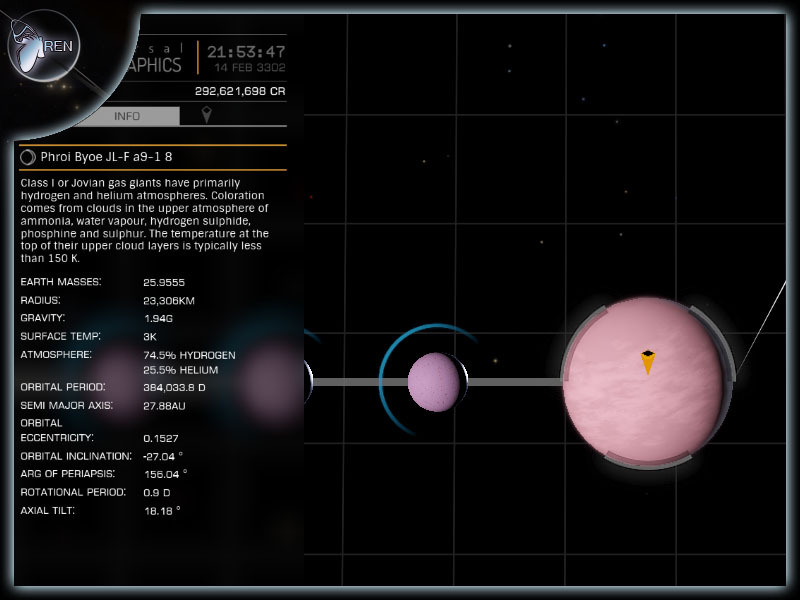 Any non-gas planet with 100% Helium atmosphere and 3 or more surface pressure. 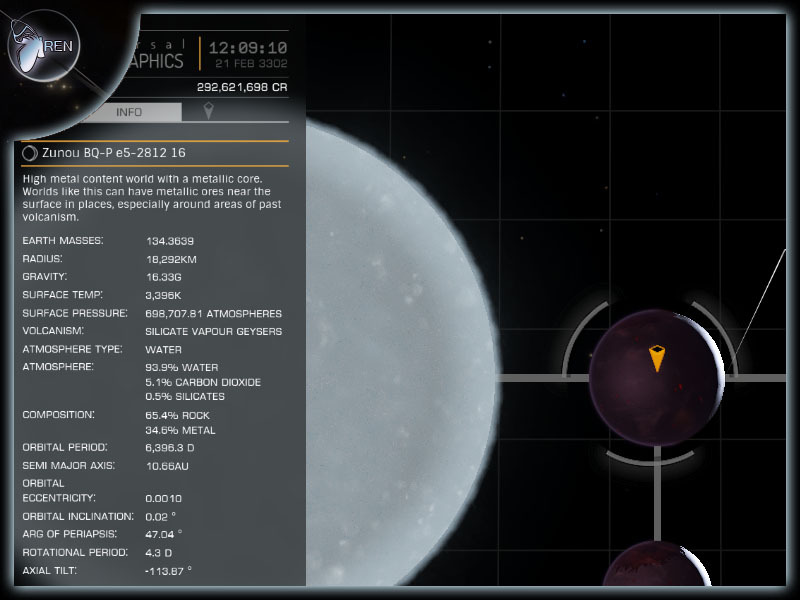 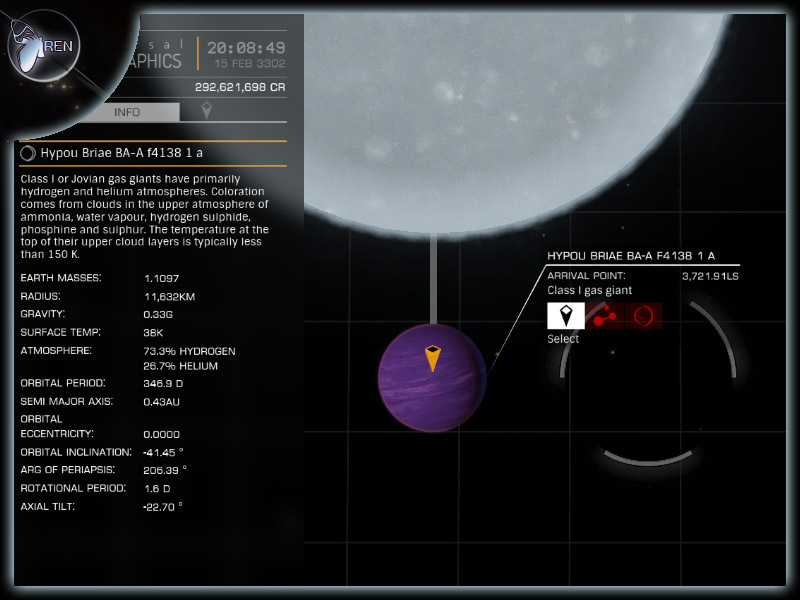 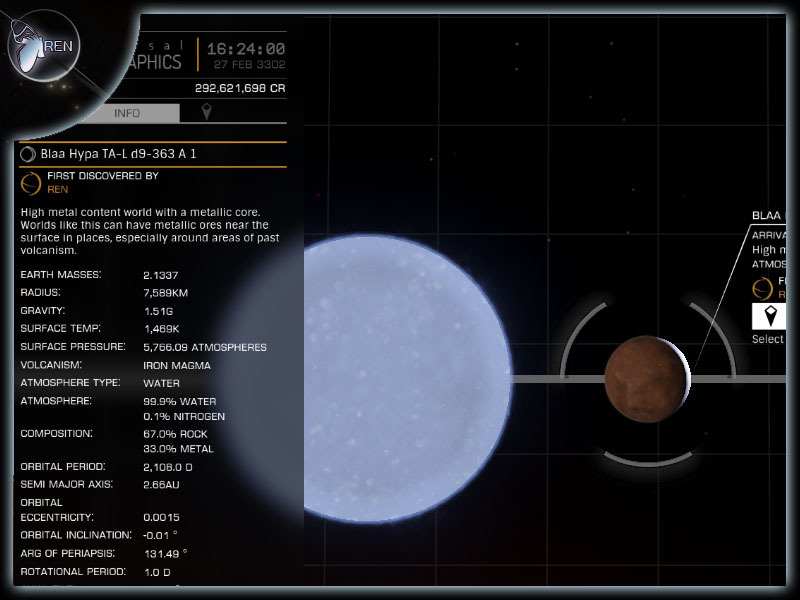 Any non-gas planet with 100% Argon atmosphere and 2 or more surface pressure. 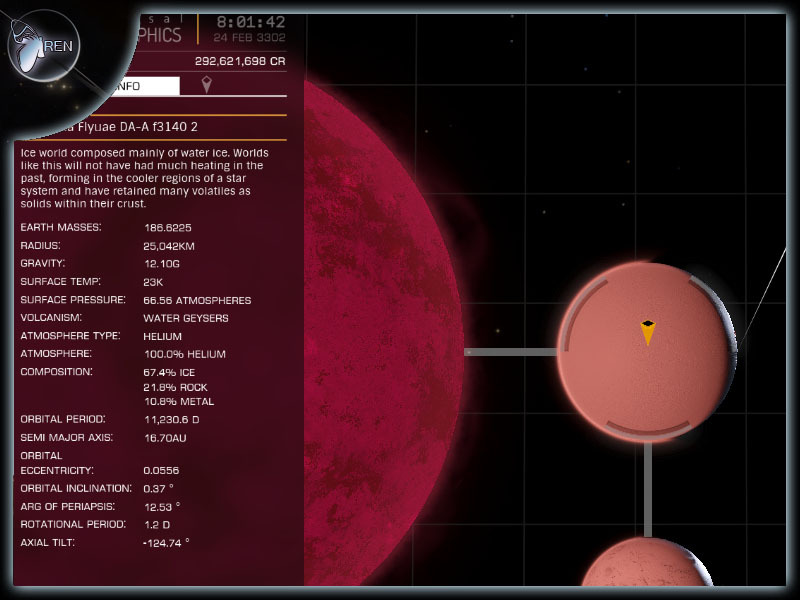 Any non-gas planet with 100% Neon atmosphere and 1 or more surface pressure. 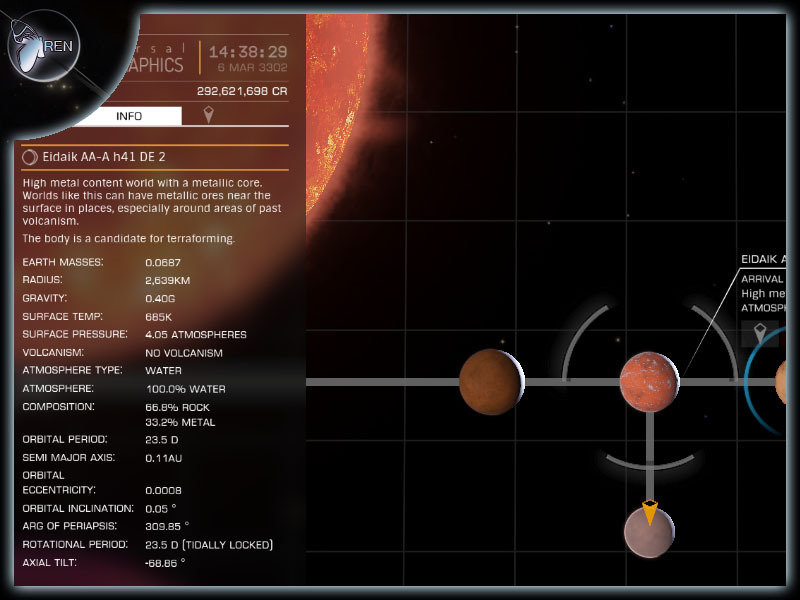 Any non-gas planet with 33% to 33.3% Nitrogen, 33% to 33.3% Ammonia, 33% to 33.3% Methane atmosphere and 33,000 or more surface pressure. 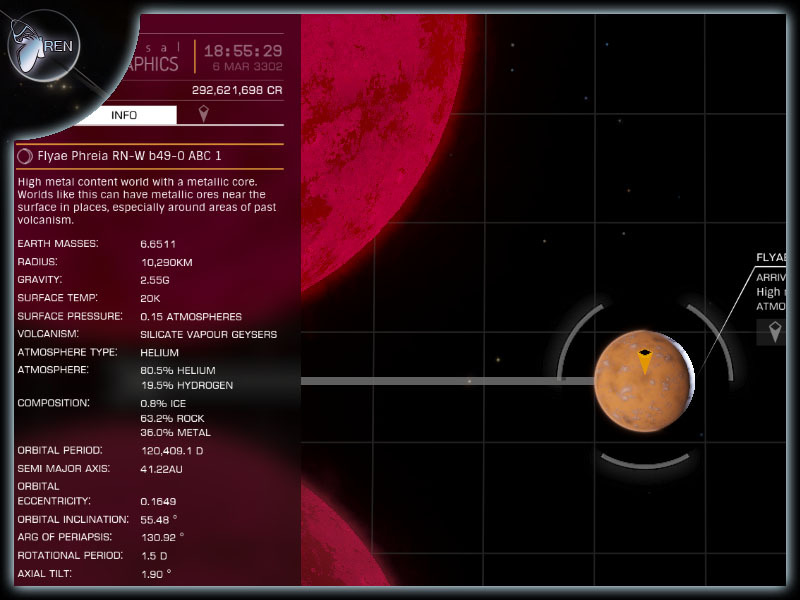 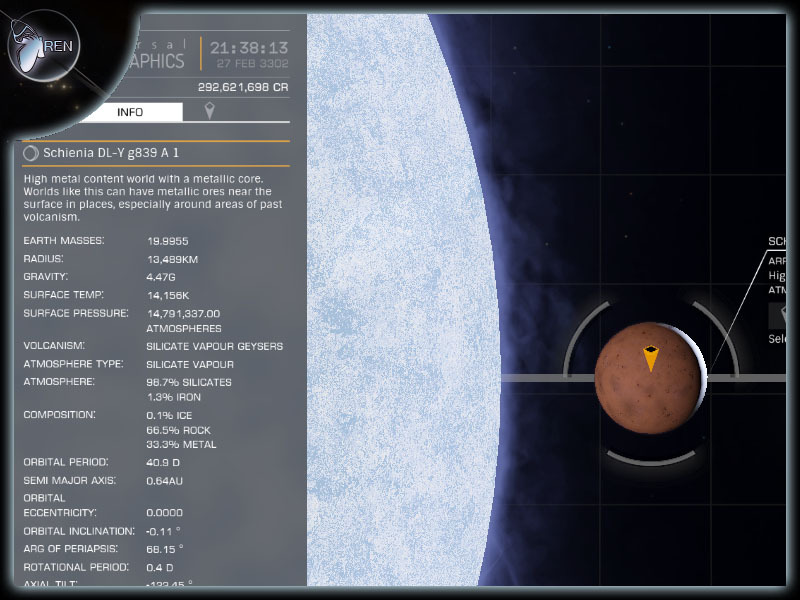 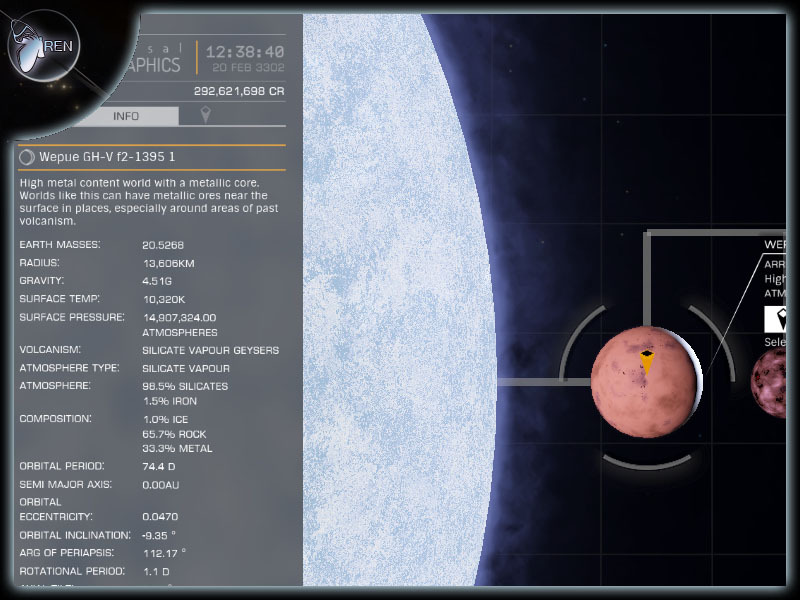 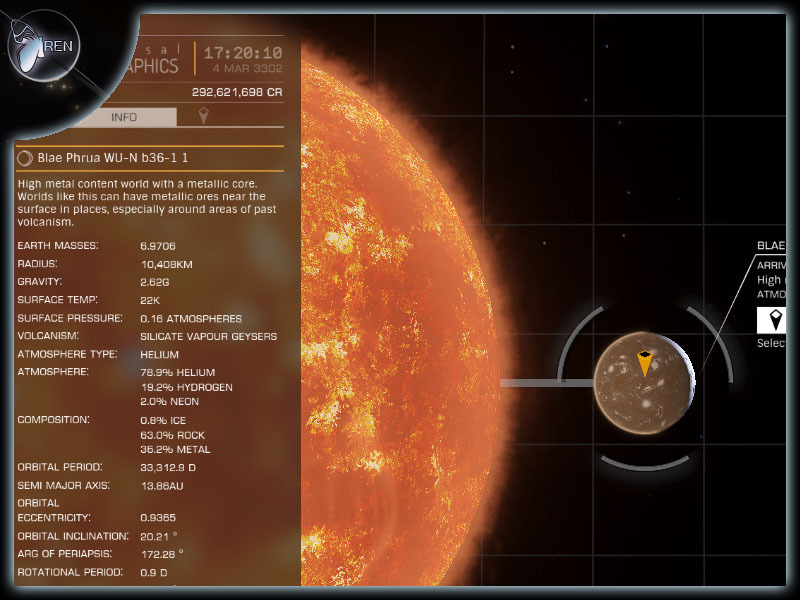 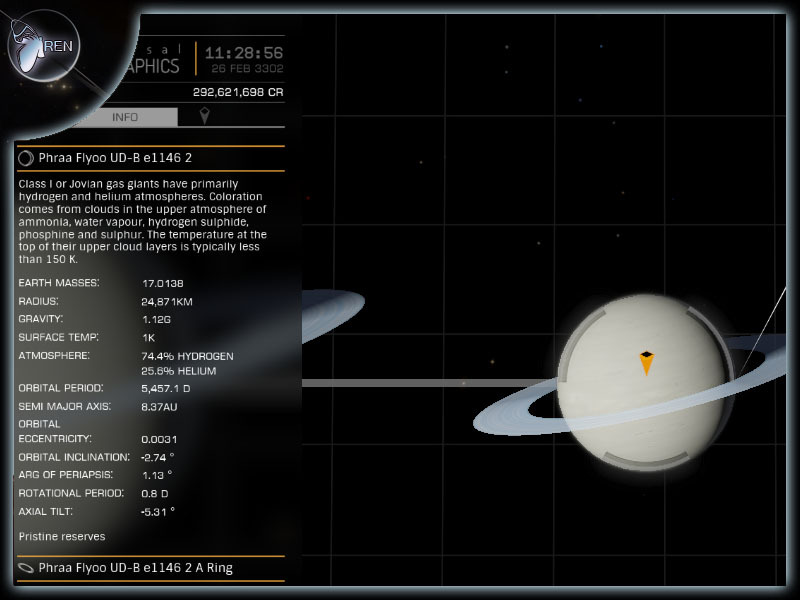 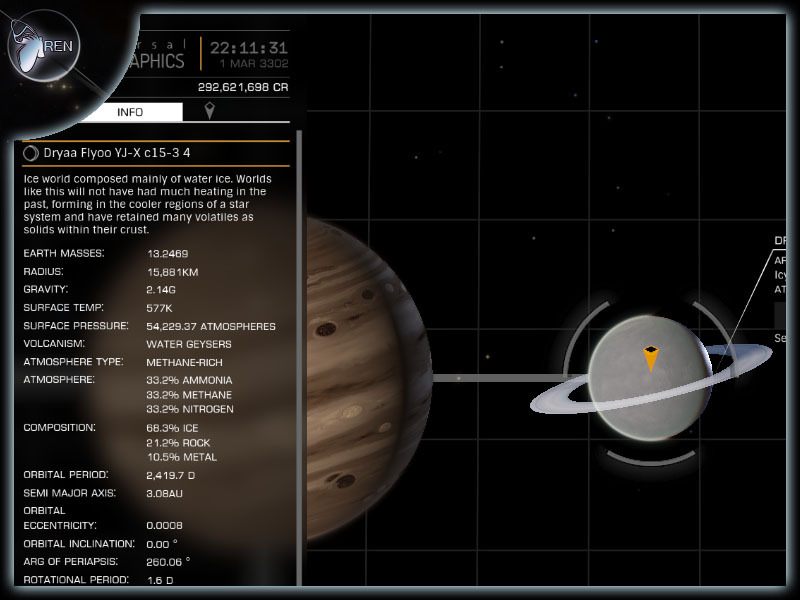 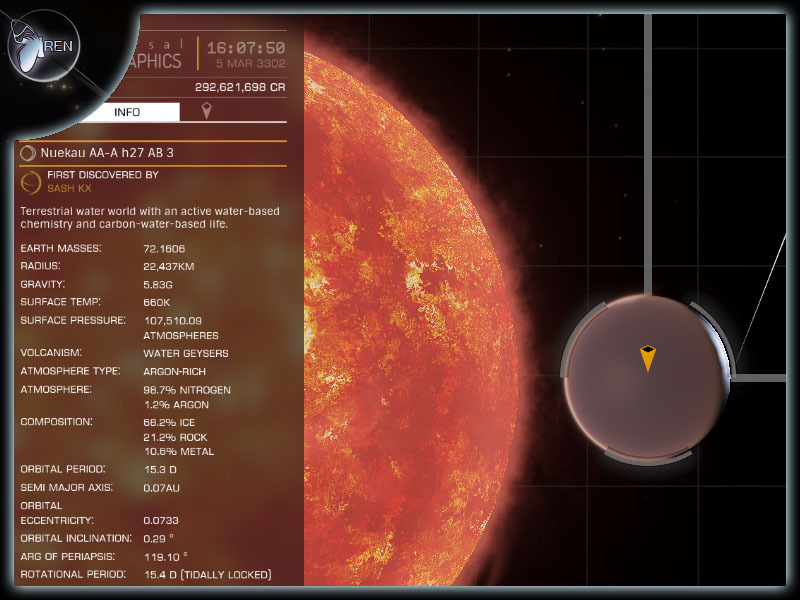 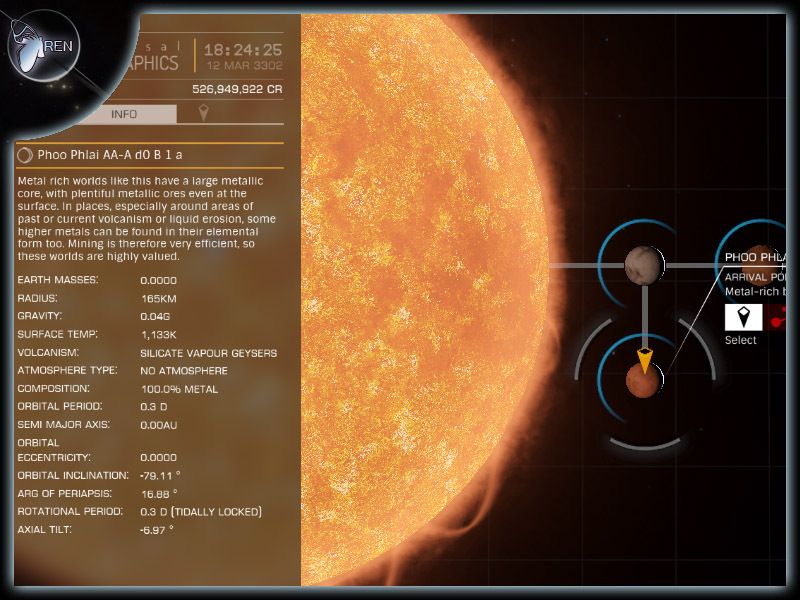 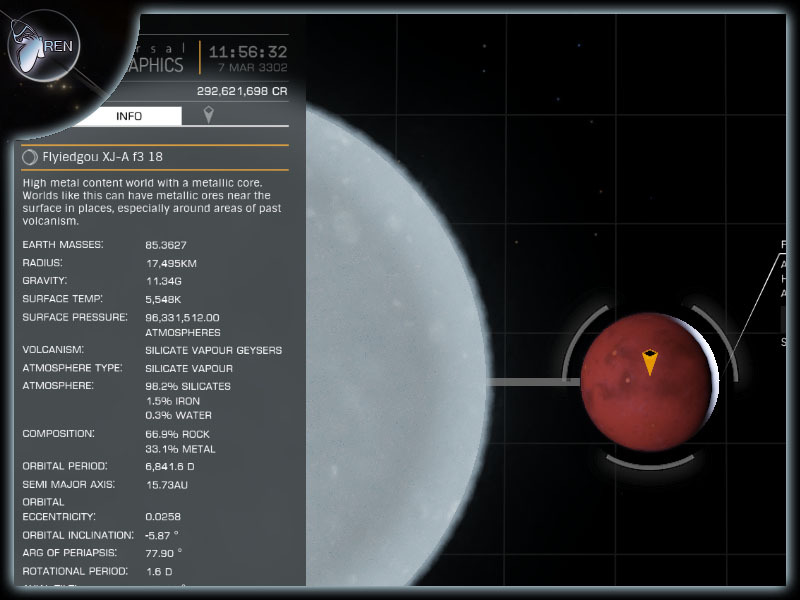 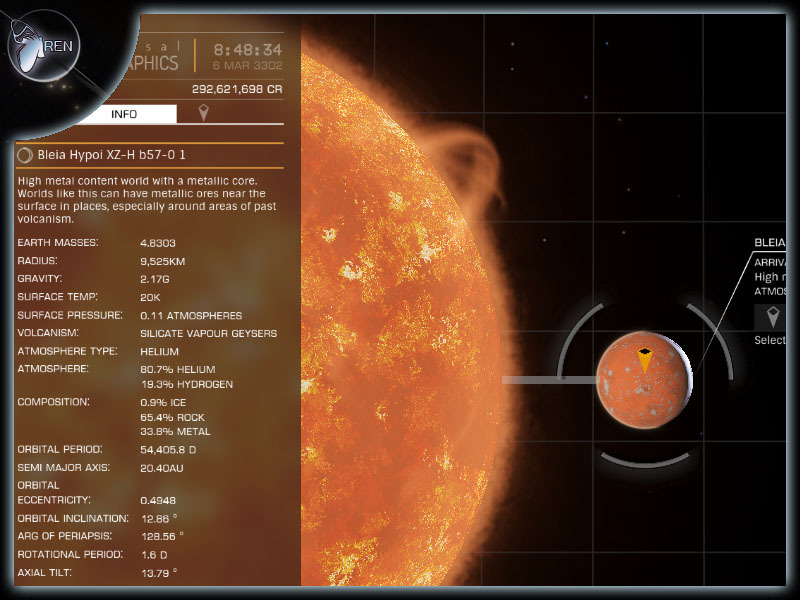 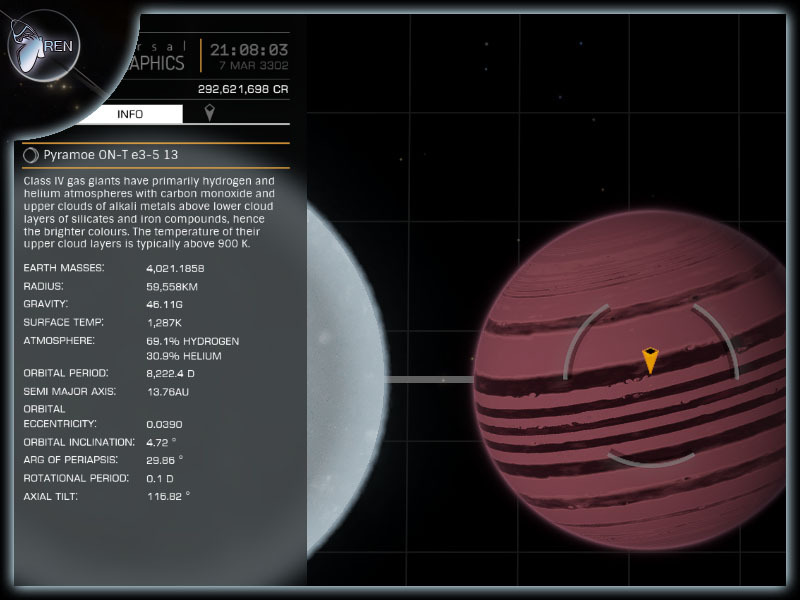 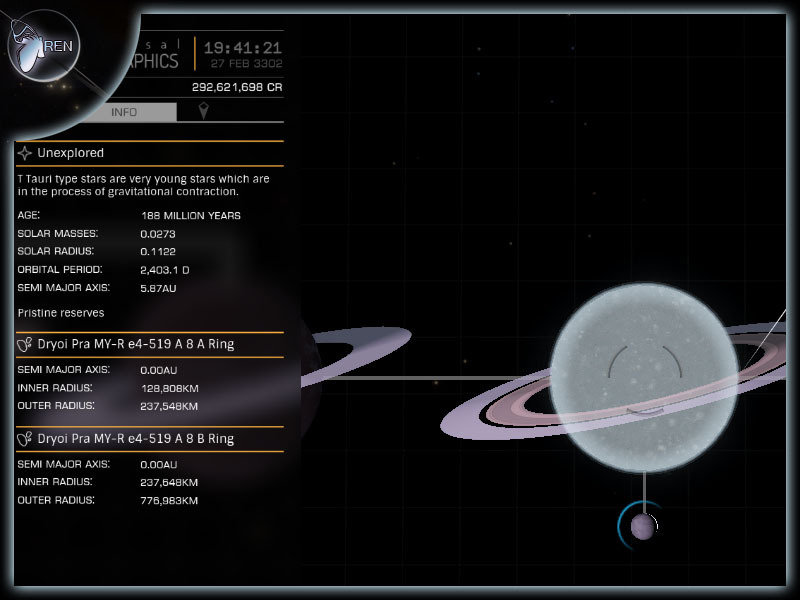 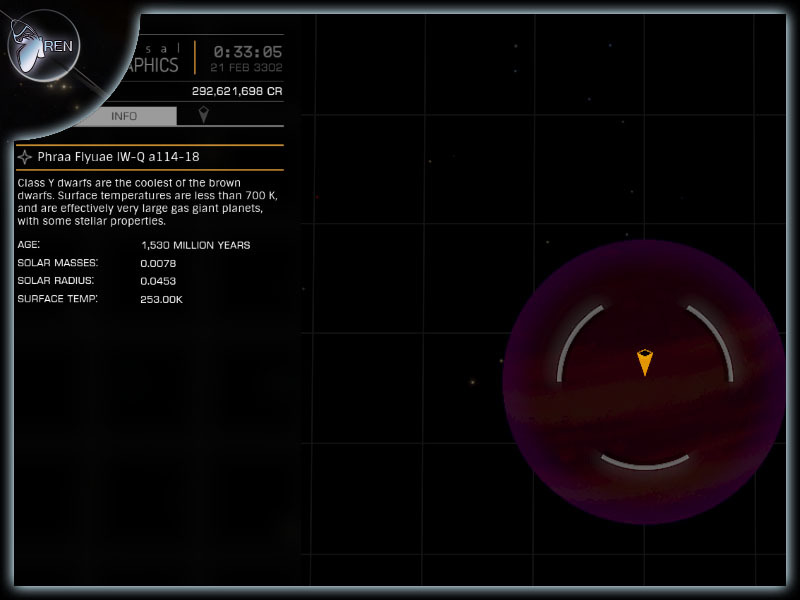 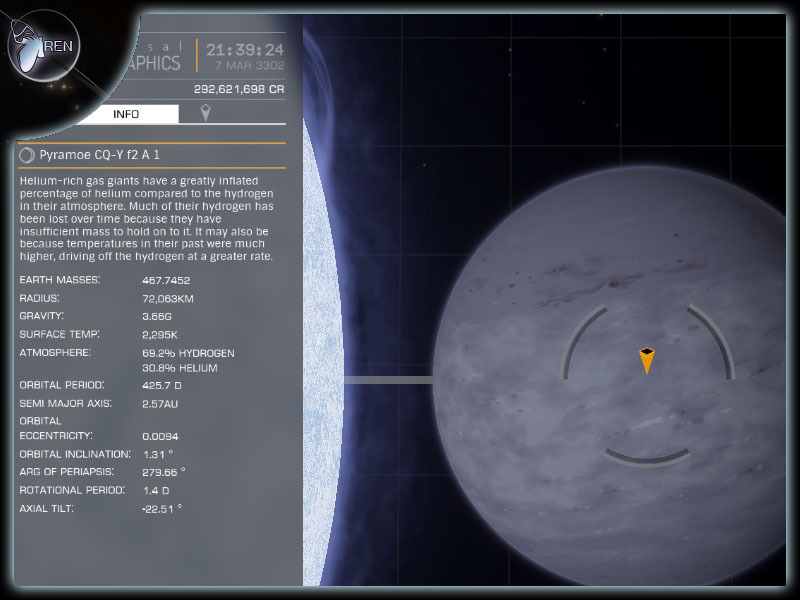 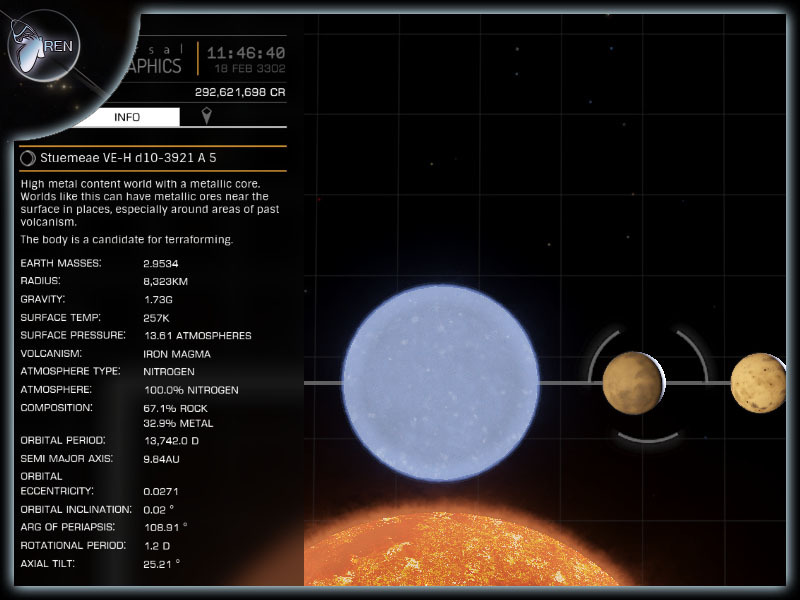 Any non-gas planet with 19% Hydrogen atmosphere and 0.1 or more surface pressure. 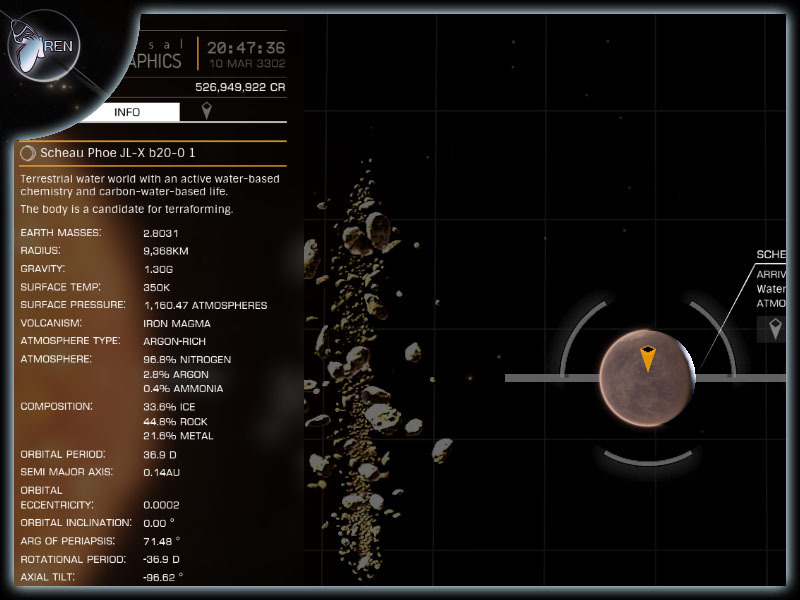 Any Terraformable candidate 2700km or less in radius. 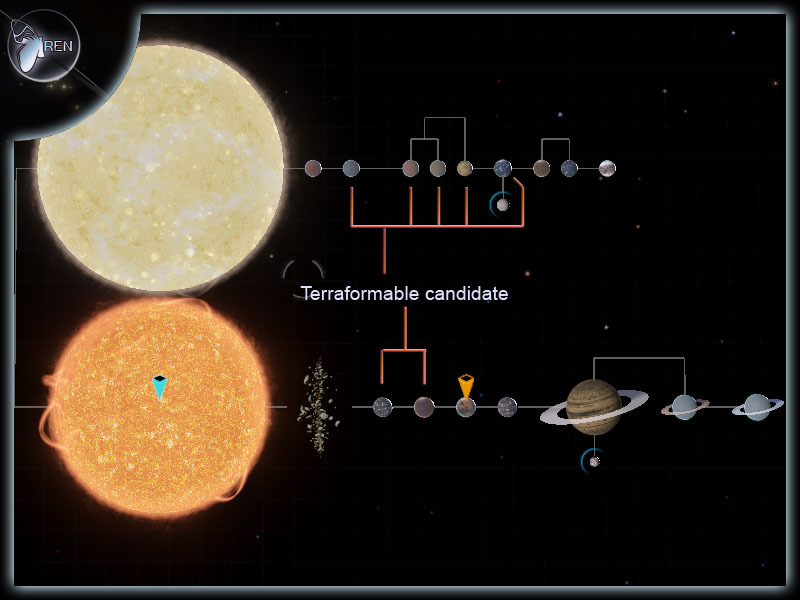 Any Terraformable candidate 10,000km or more in radius. 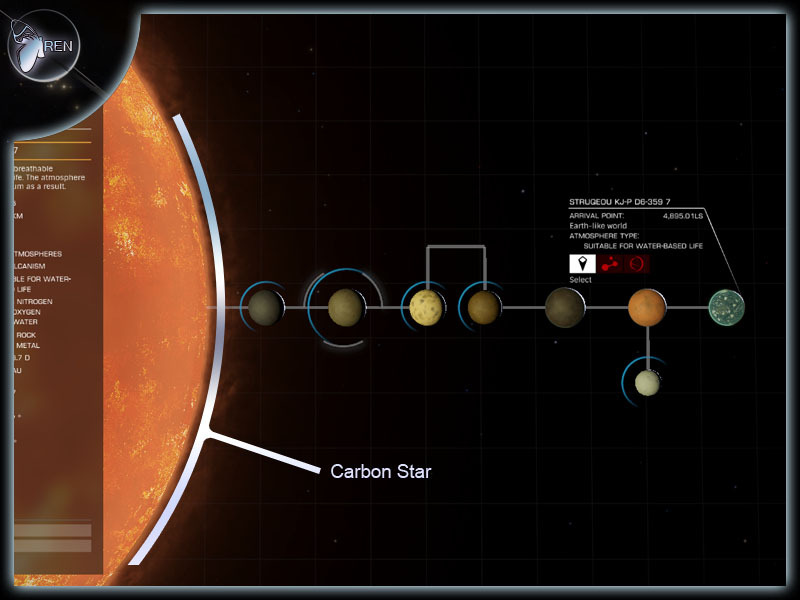 Any Carbon Star. 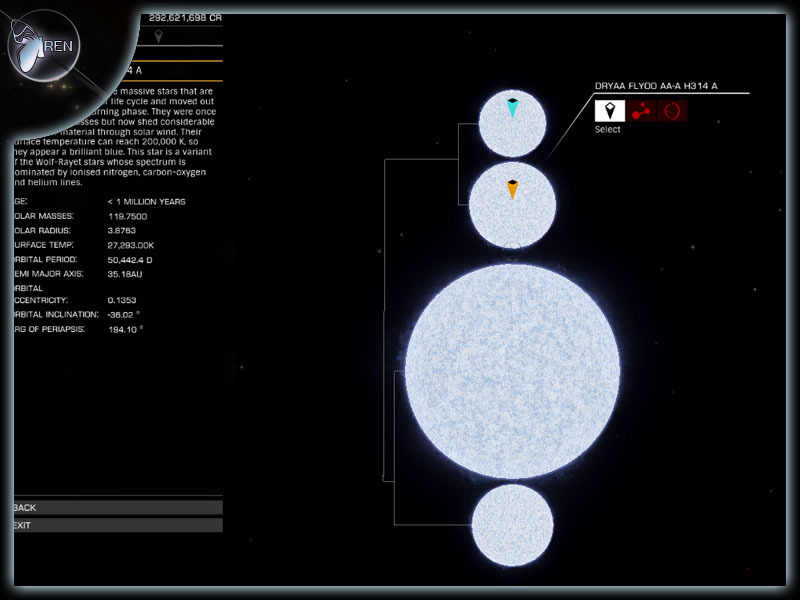 'C', 'C-N', 'C-J','WC','WNC'' class star except 'R Leporis', as it has its own achievement. 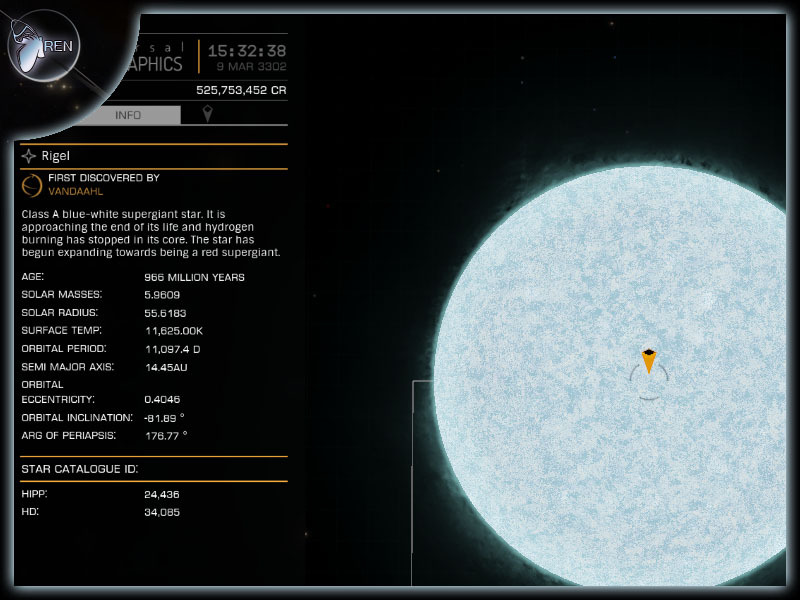 Any Wolf-Rayet with a temperature 3700K or less. Probably a carbon star (WC). 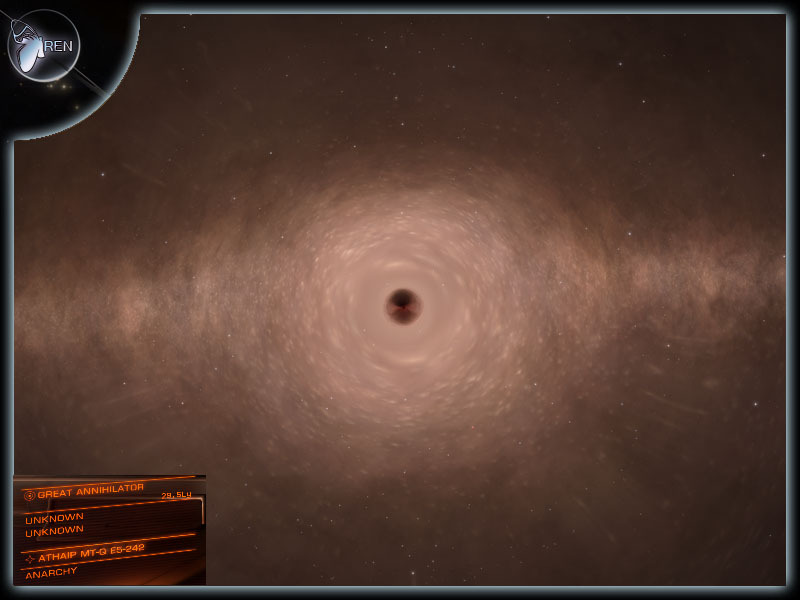 System may have Black Holes but can't contain any main sequence stars, dwarfs, White Dwarfs, Wolf-Rayet, neutron stars or proto stars. neutron stars, Black Hole, White Dwarf. 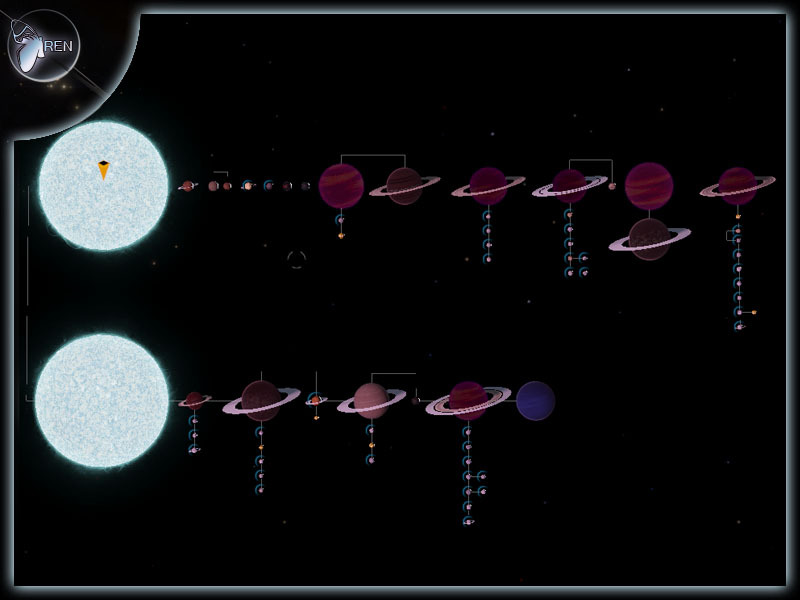 20 stars or more, of any type in one system. 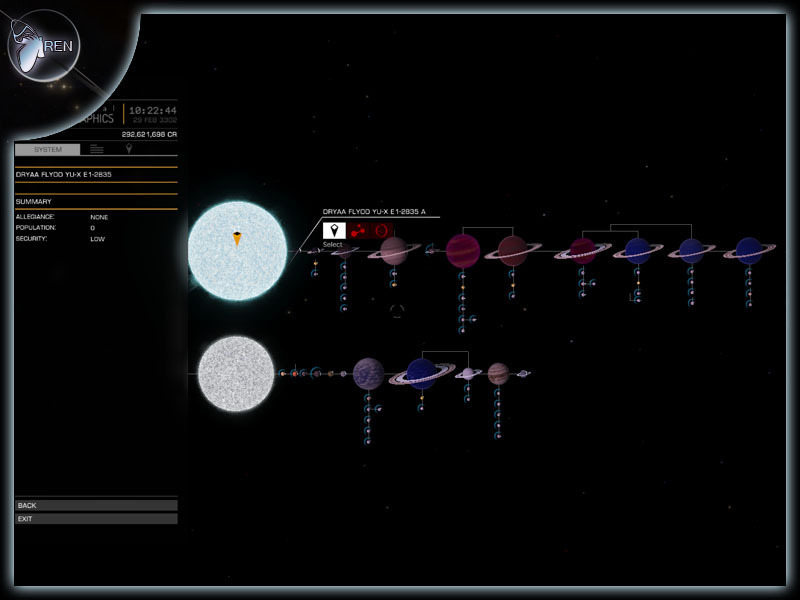 15 or more Astronomical bodies that are classed as asteroid belts around one star. 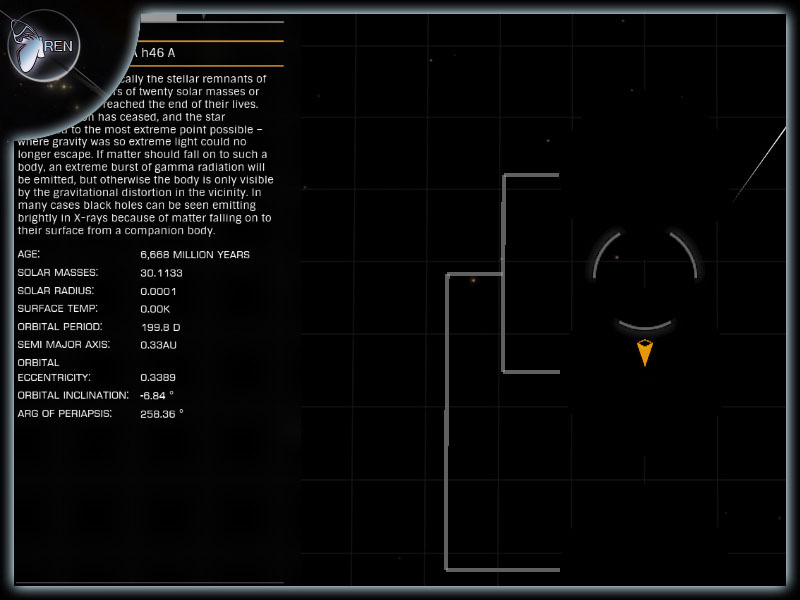 No other bodies are allowed. 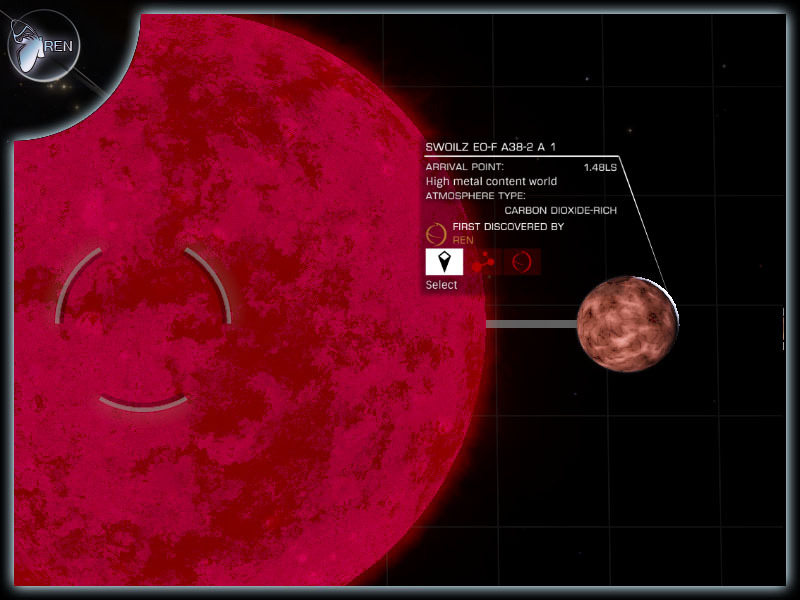 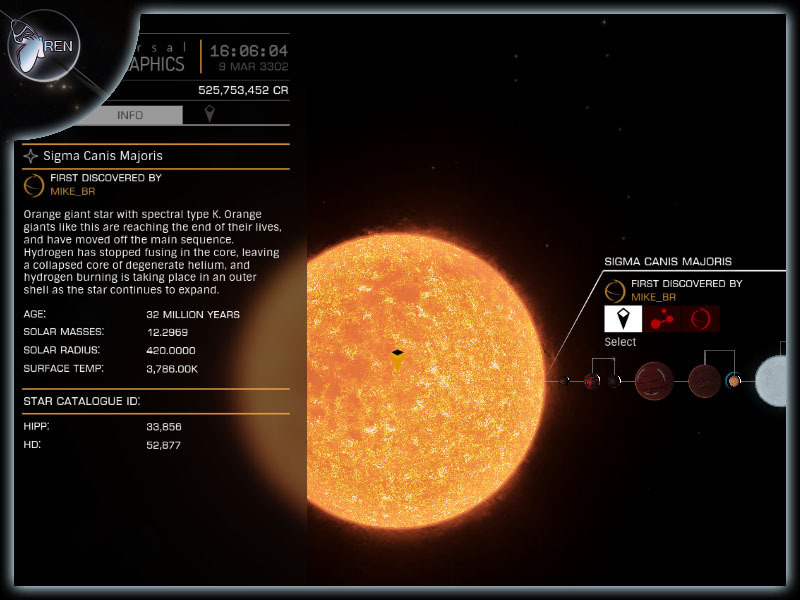 Find a system containing at least 7 Red dwarf / Brown dwarf (M,L,T,Y) stars and at least one White Dwarf. 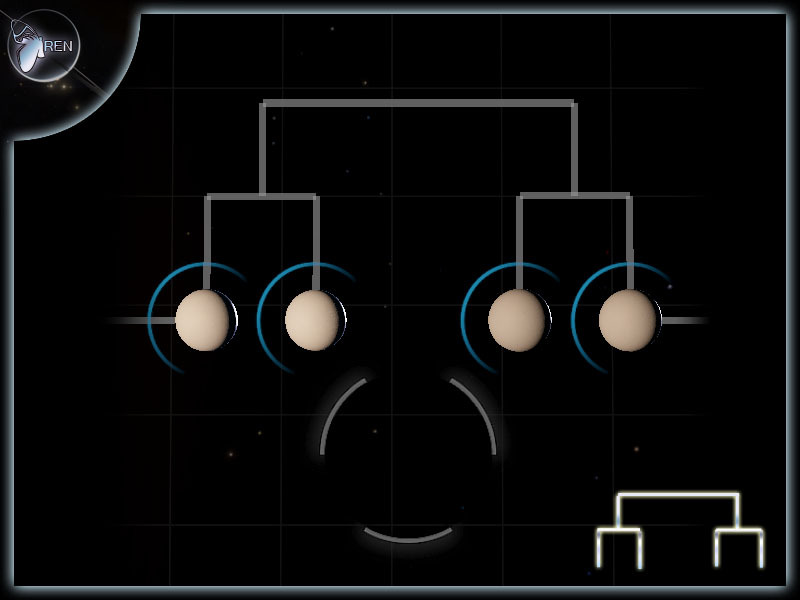 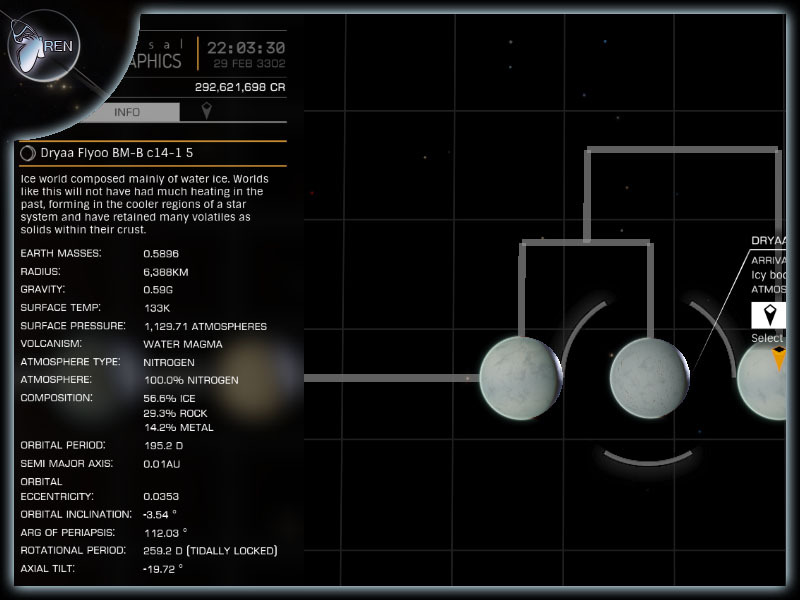 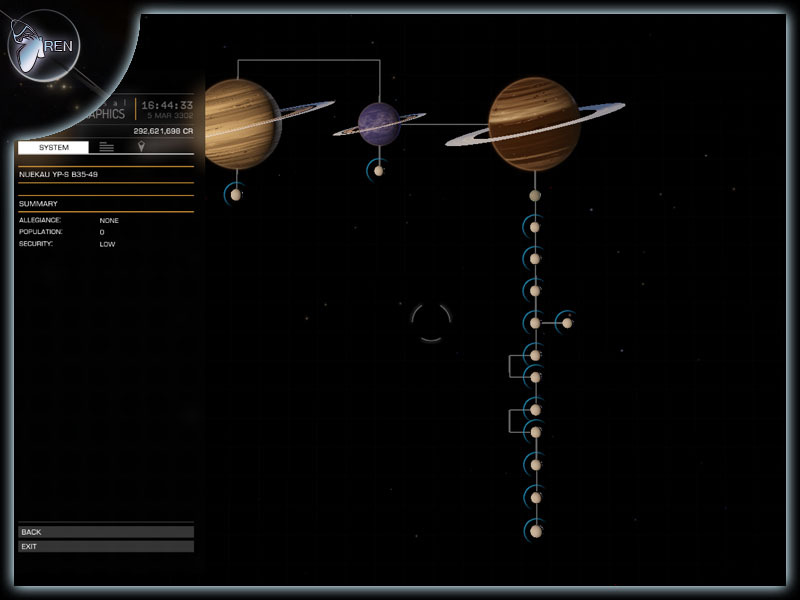 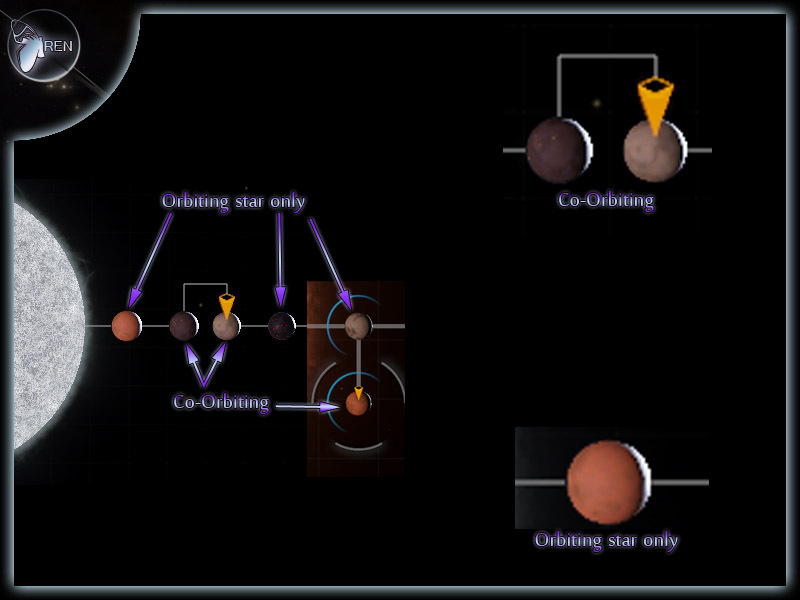 Find a system containing at least 5 co-rotating planet pairs. 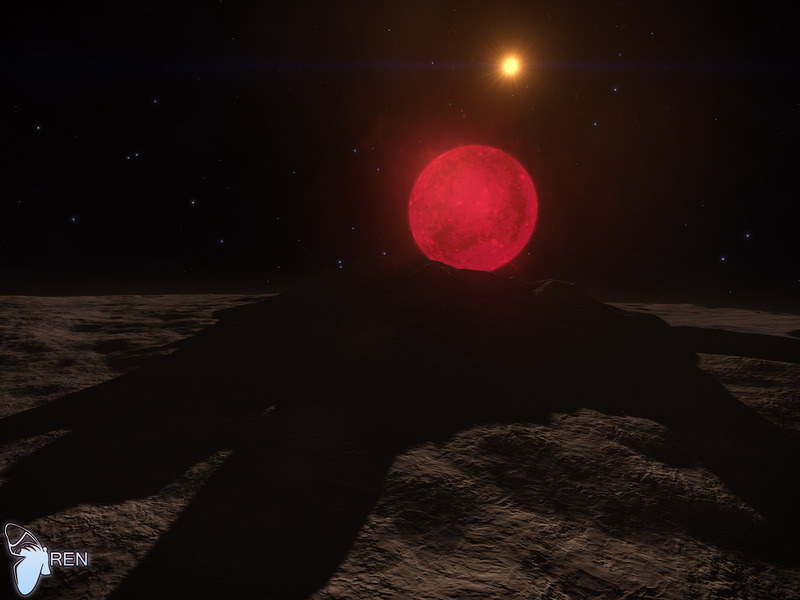 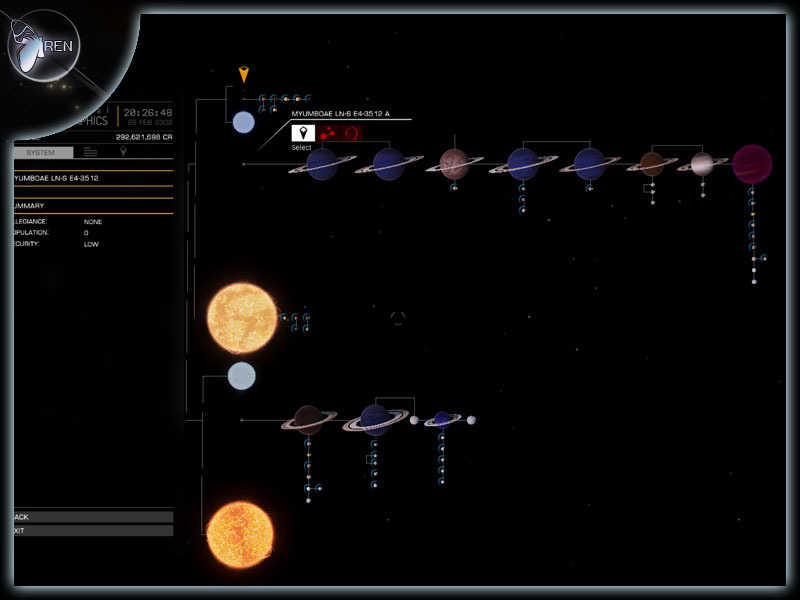 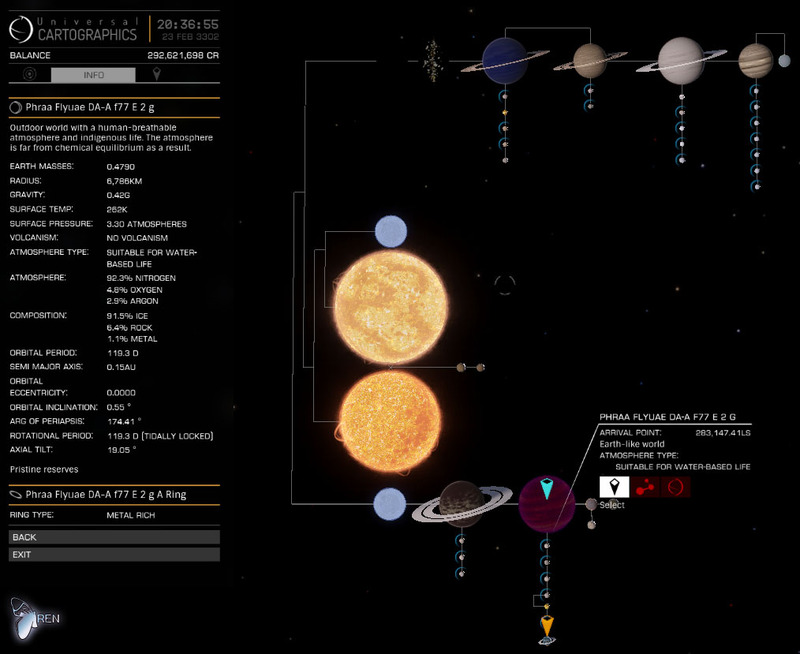 Sol System analogues are a collection of astronomical bodies which are similar too ones found in the Sol System. 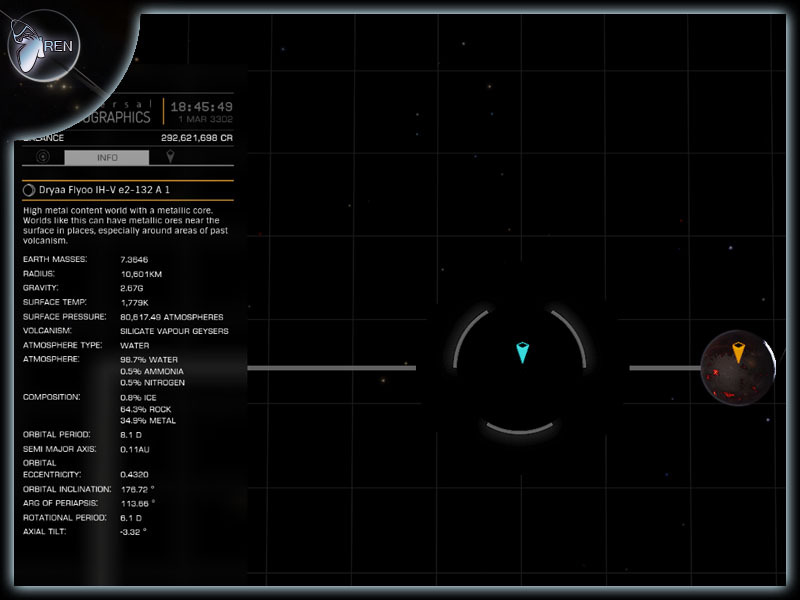 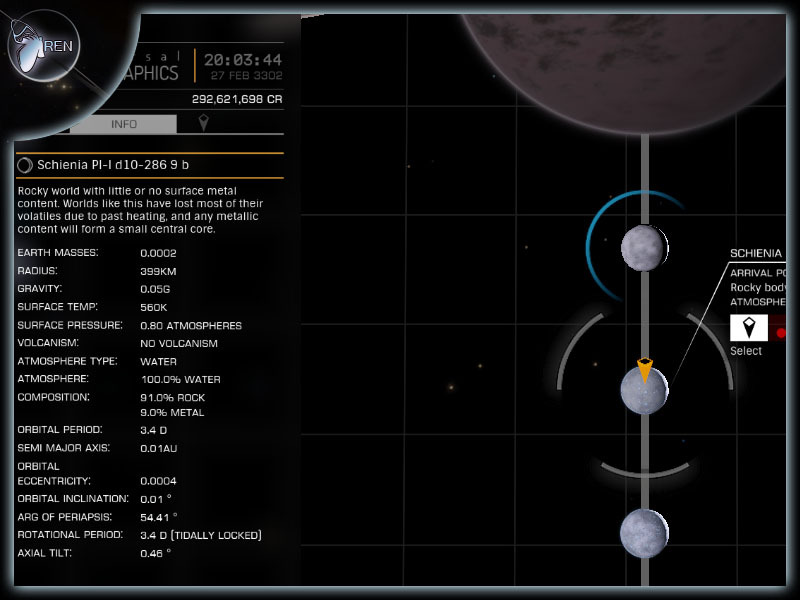 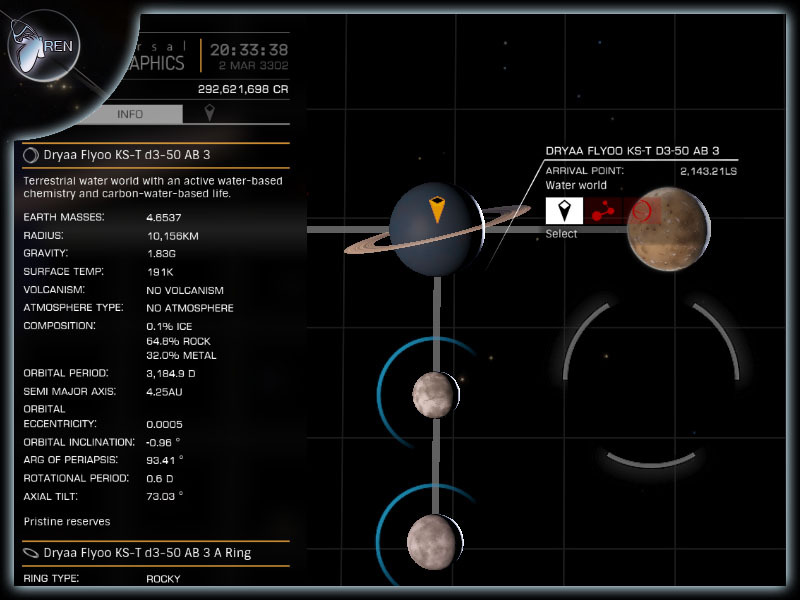 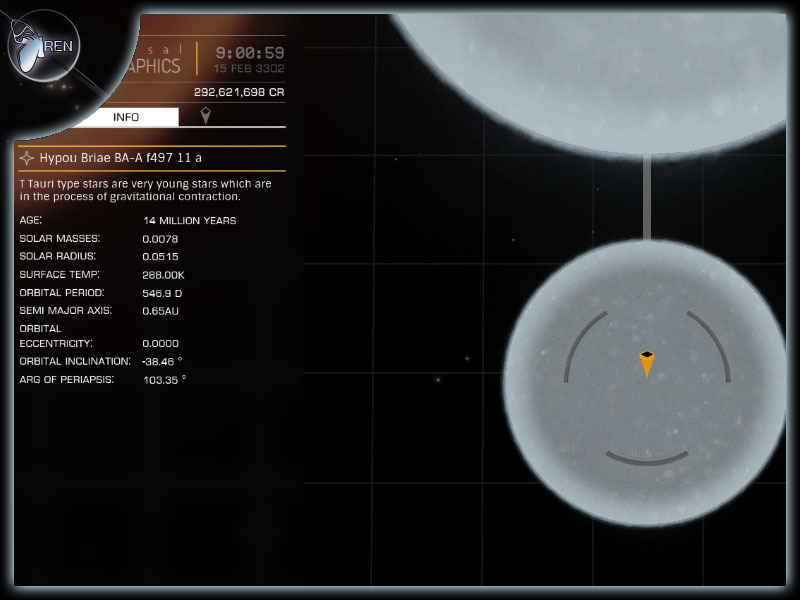 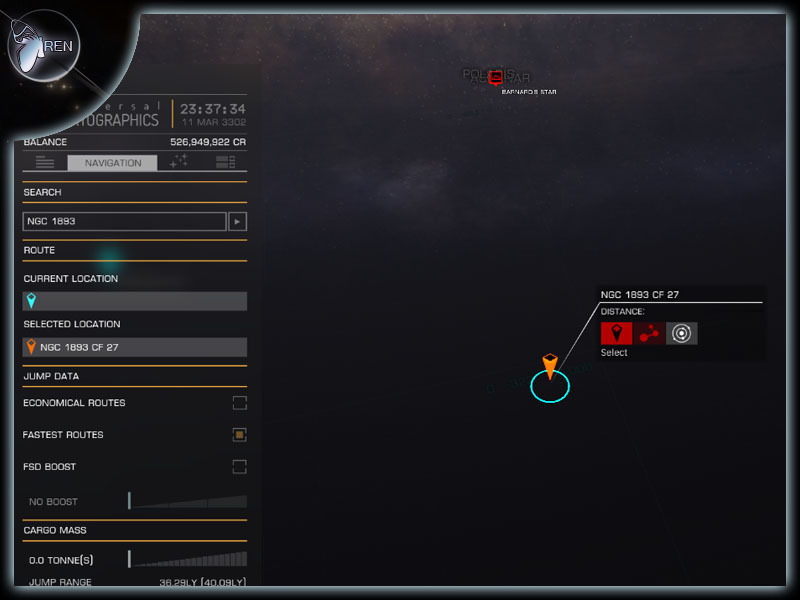 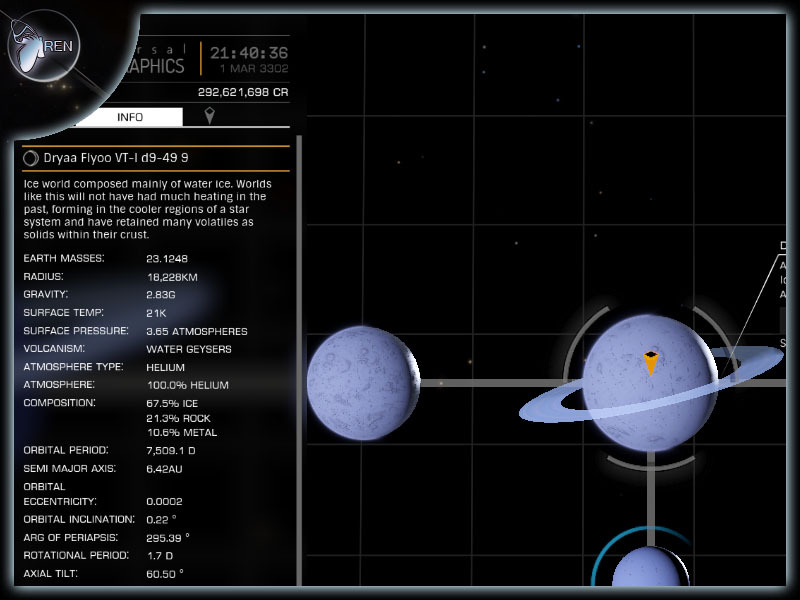 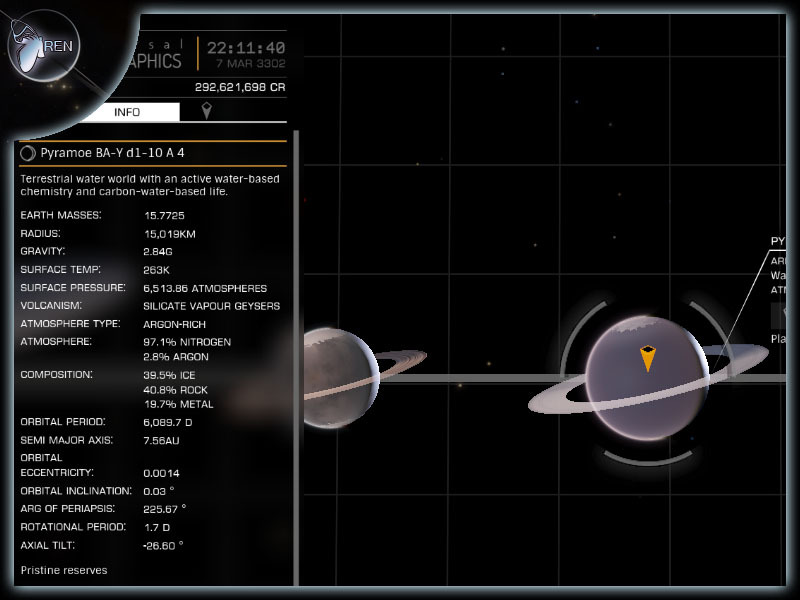 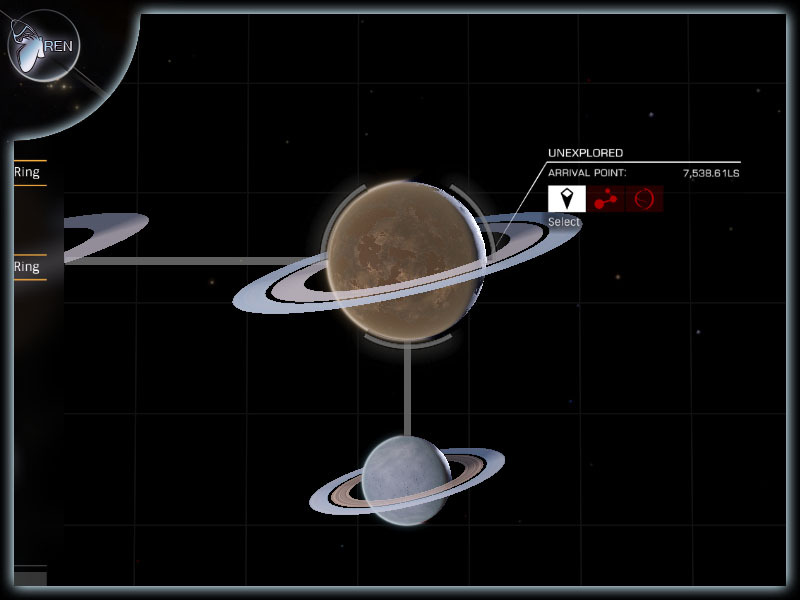 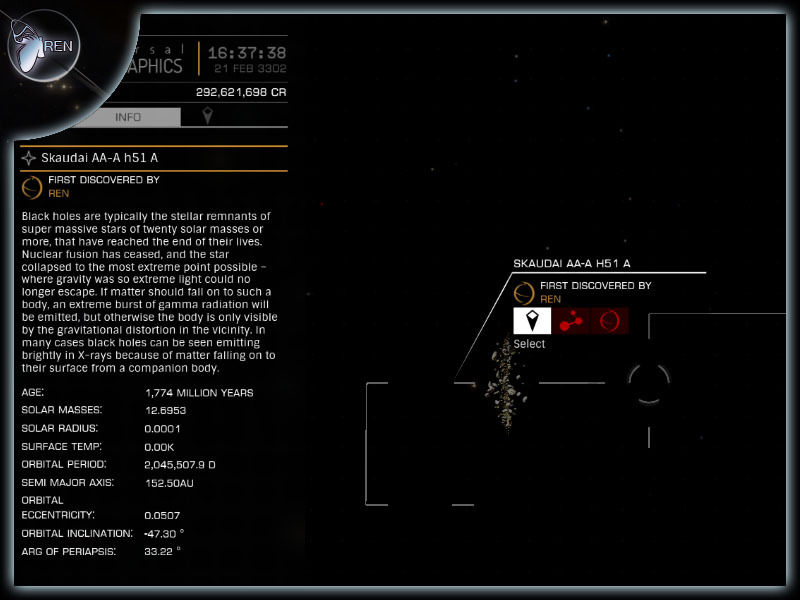 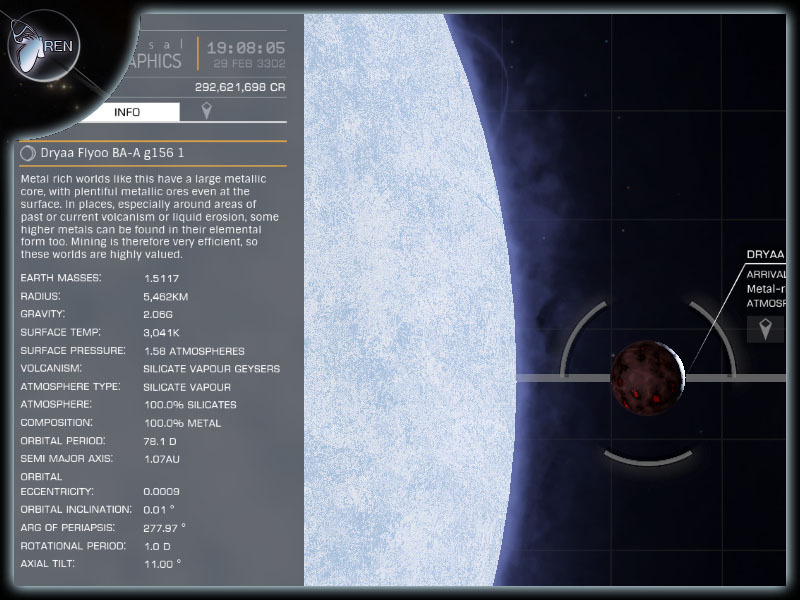 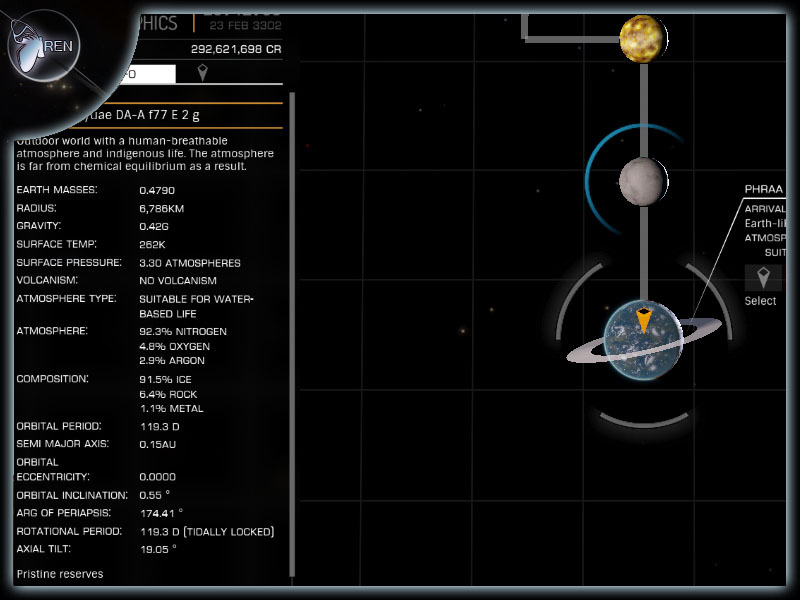 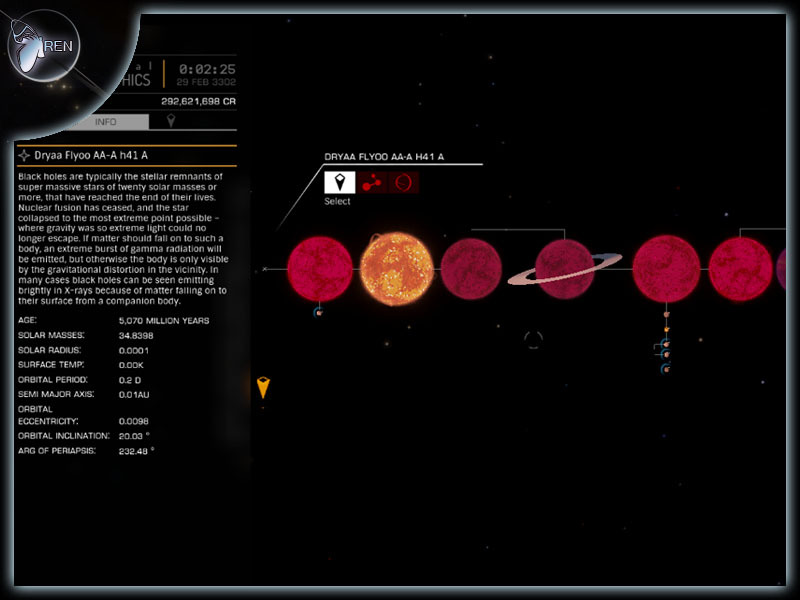 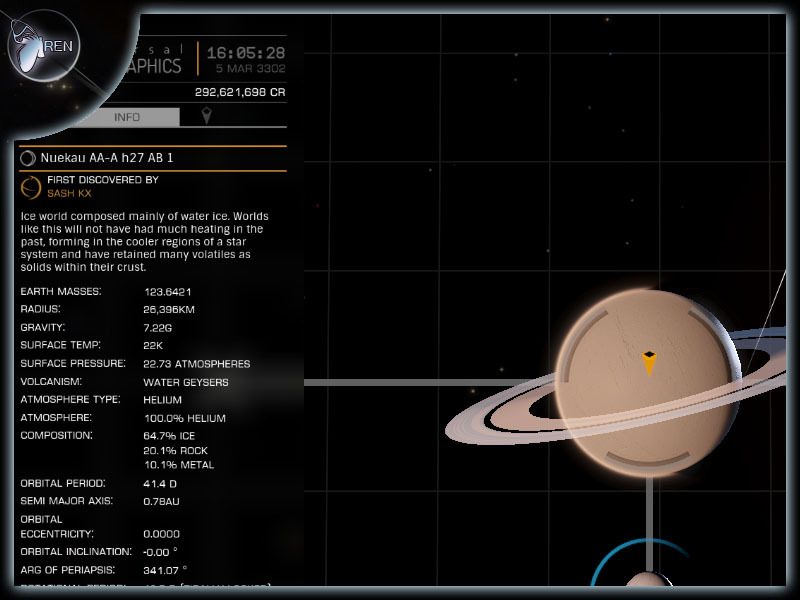 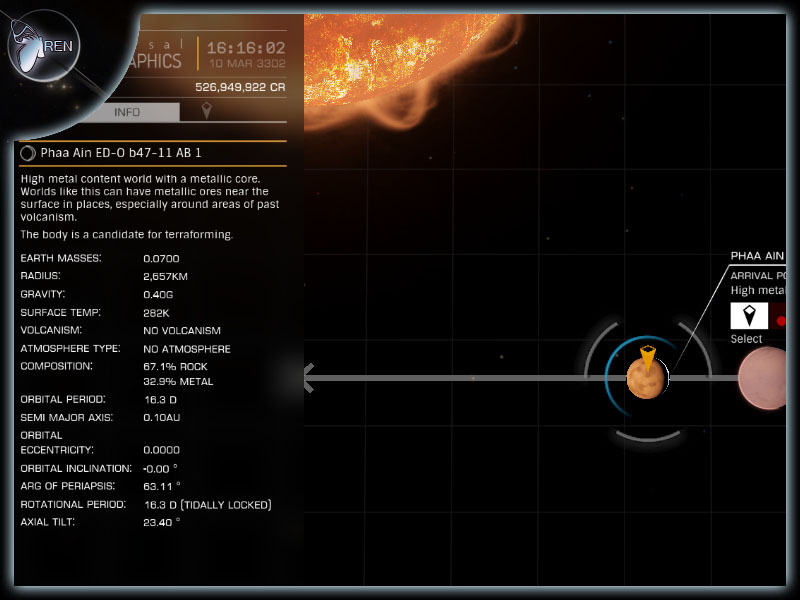 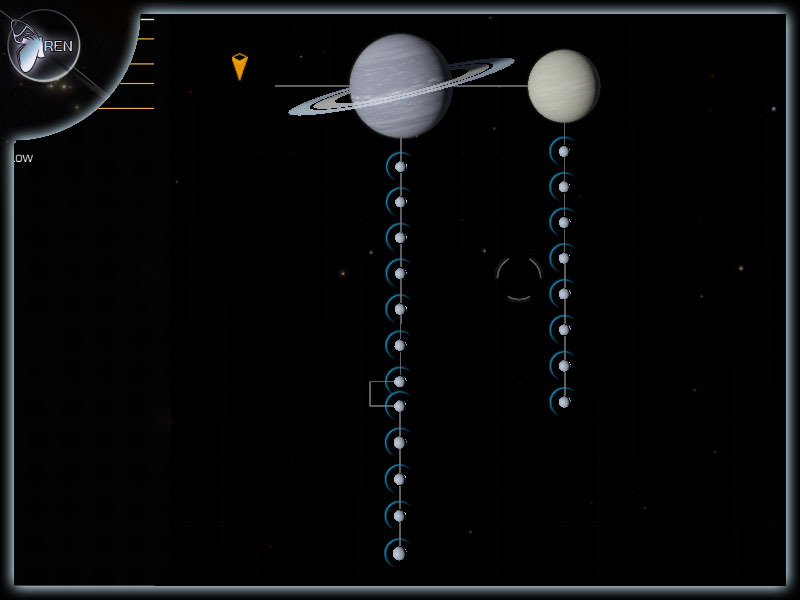 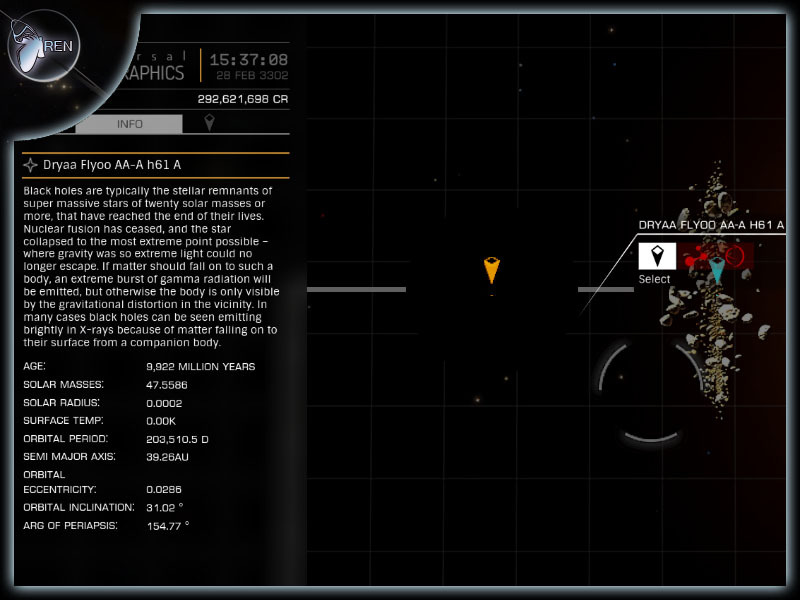 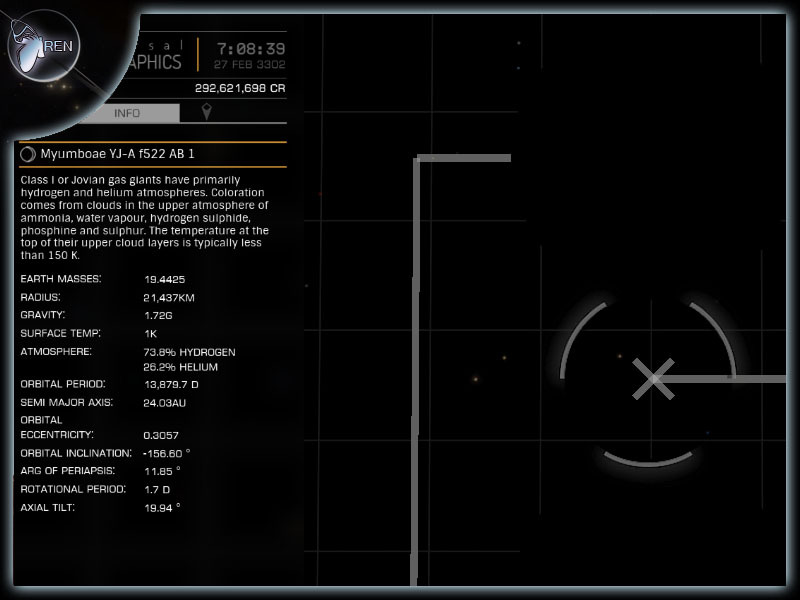 They can not not be located in the SOL System! 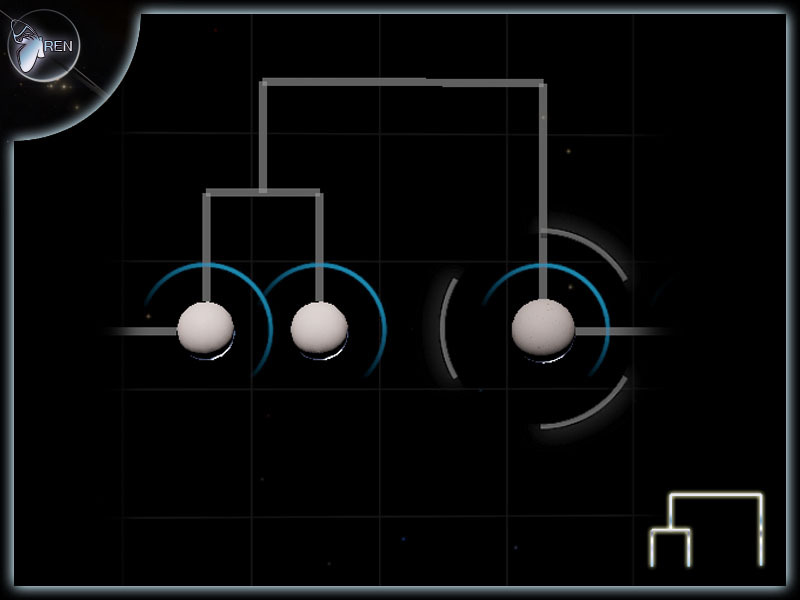 Combos require two or more conditions to be met and normally contain other achievements you may already have done. 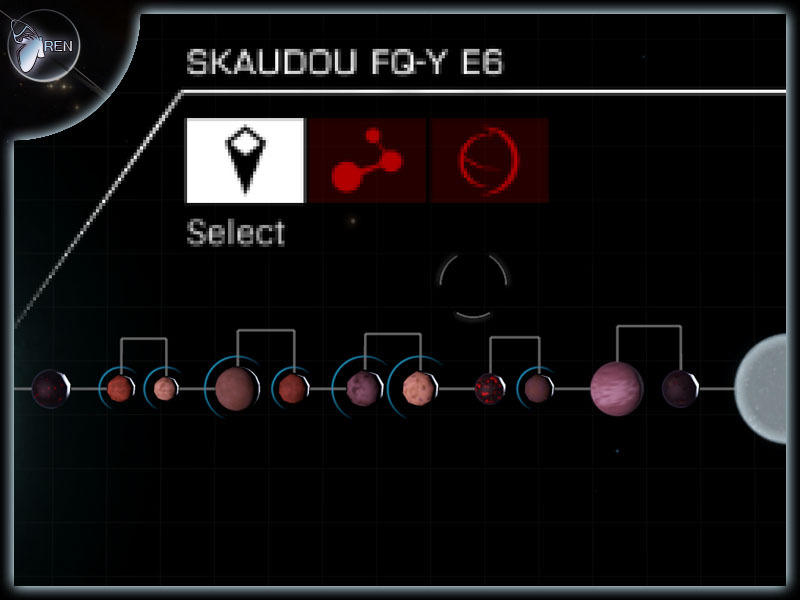 This makes them quite a bit harder to achieve. 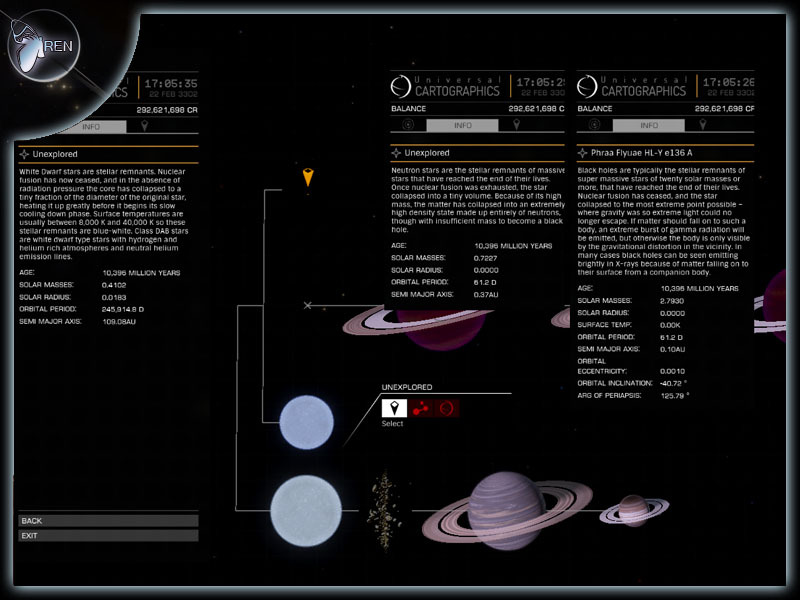 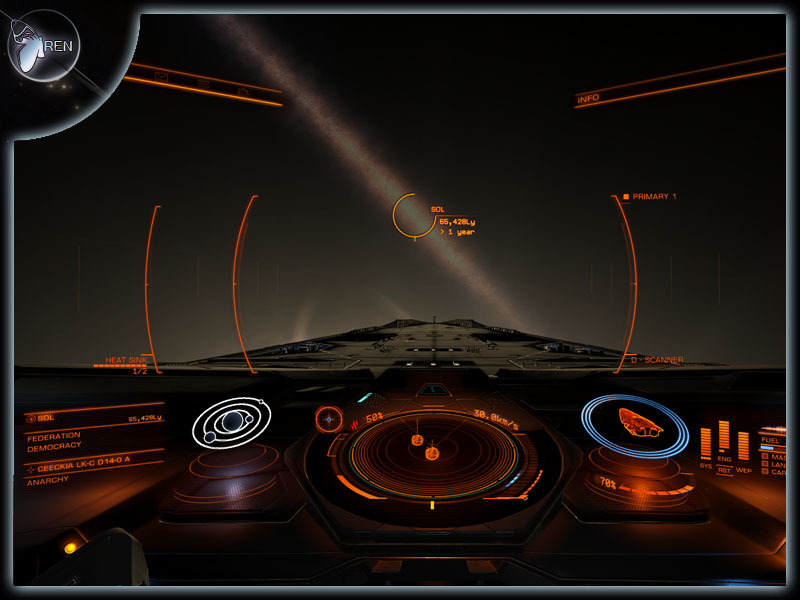 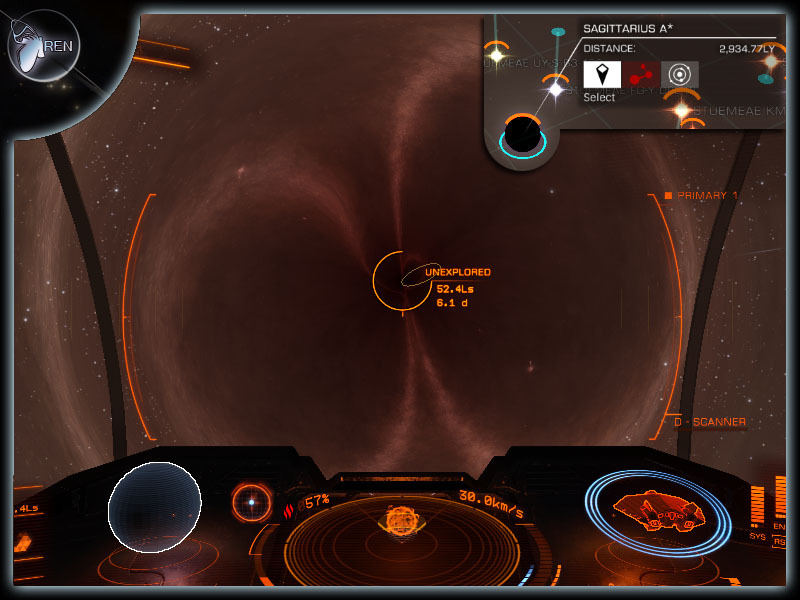 Find a system containing at least one of each of the following; neutron star, Black Hole, White Dwarf. 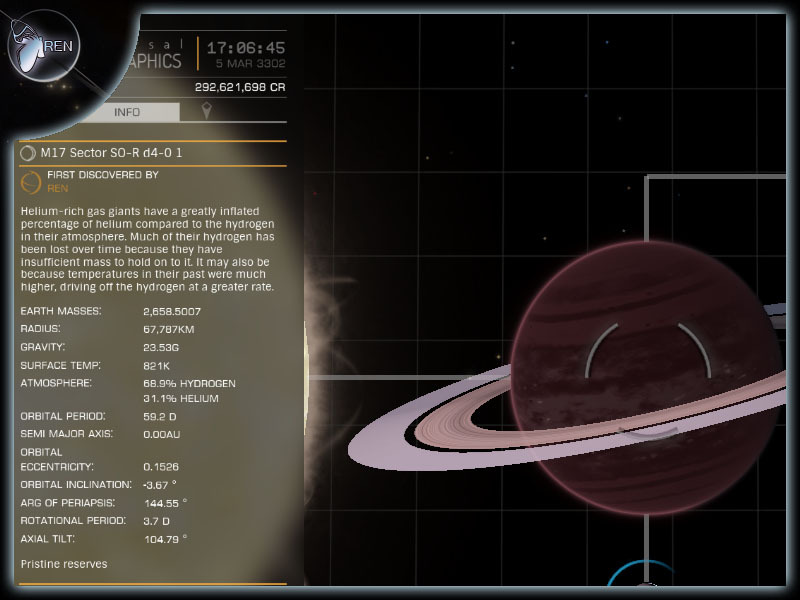 Sooden's Specials are based on things Sooden found which meet very specific requirements and therefore may be a one off find. 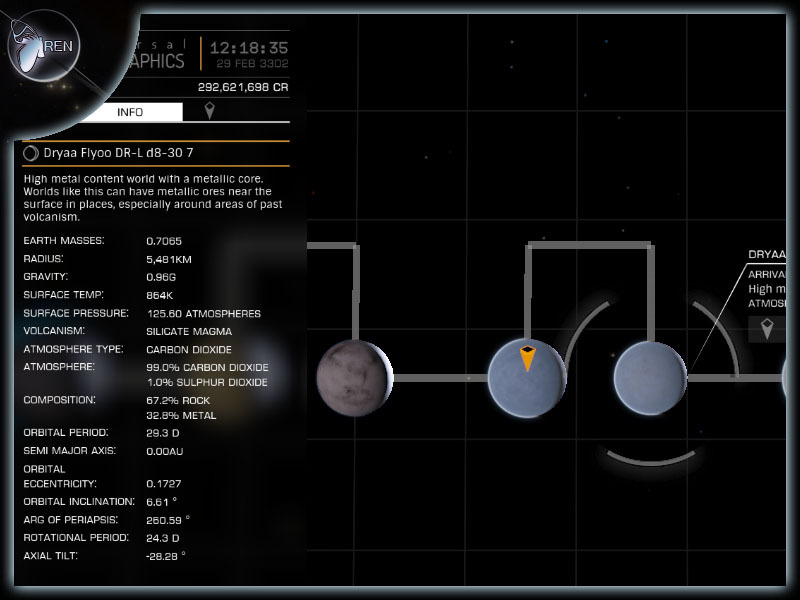 For this reason, the locations of specials are always given. 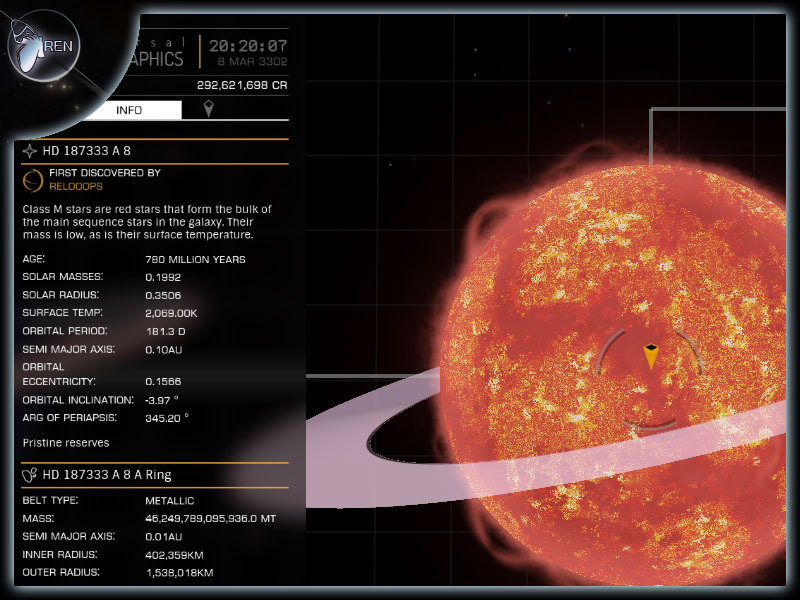 An Earth Like with a ring system that is orbiting a Y dwarf, which is orbiting a neutron star which is orbiting a Black Hole. 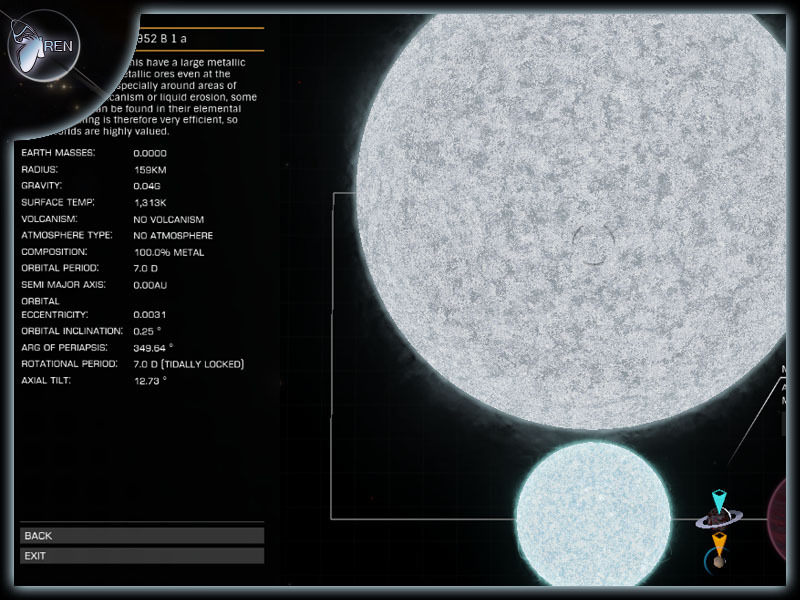 3 'O' Class stars and a Wolf-Rayet. 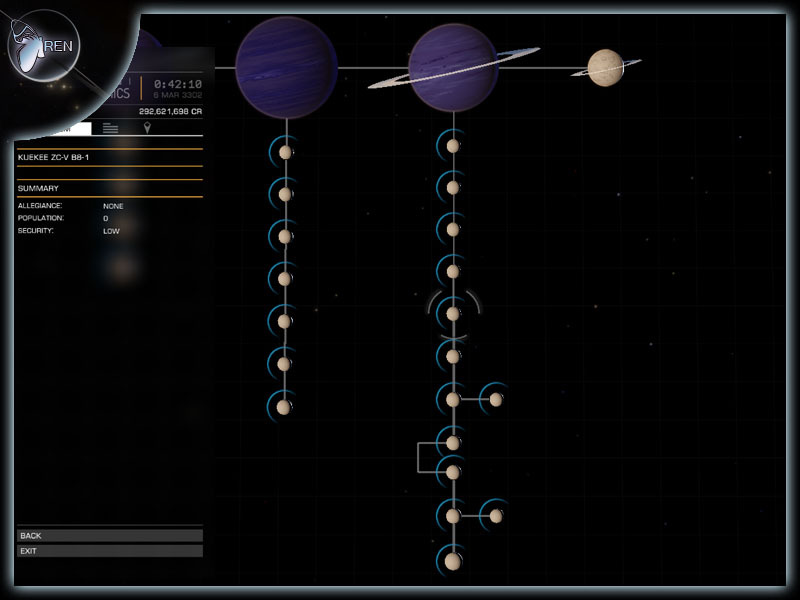 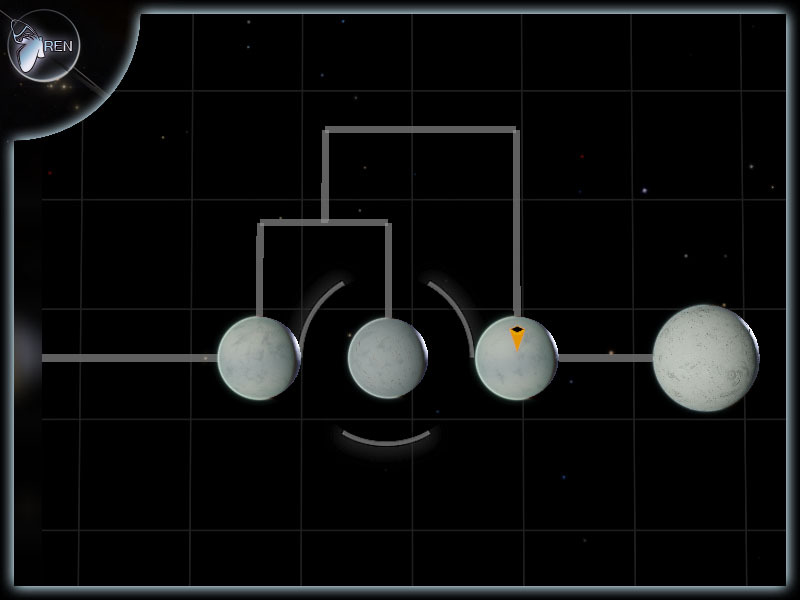 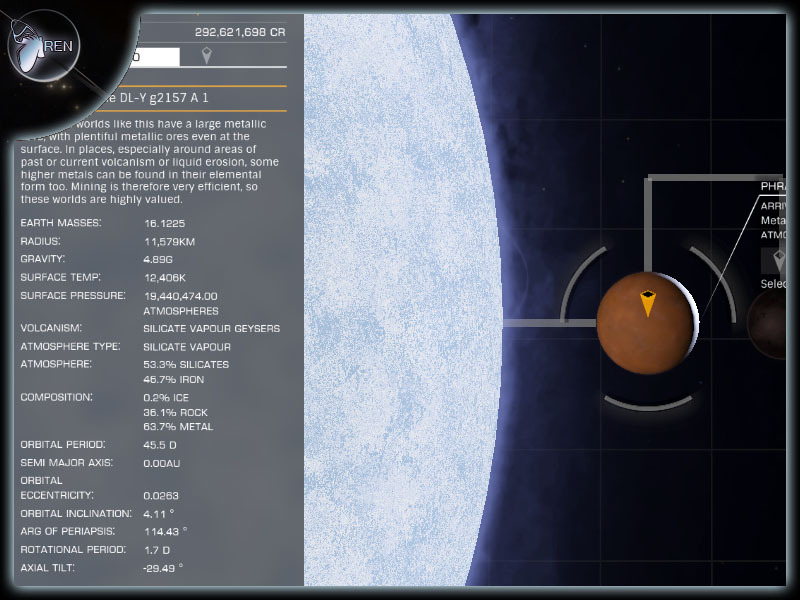 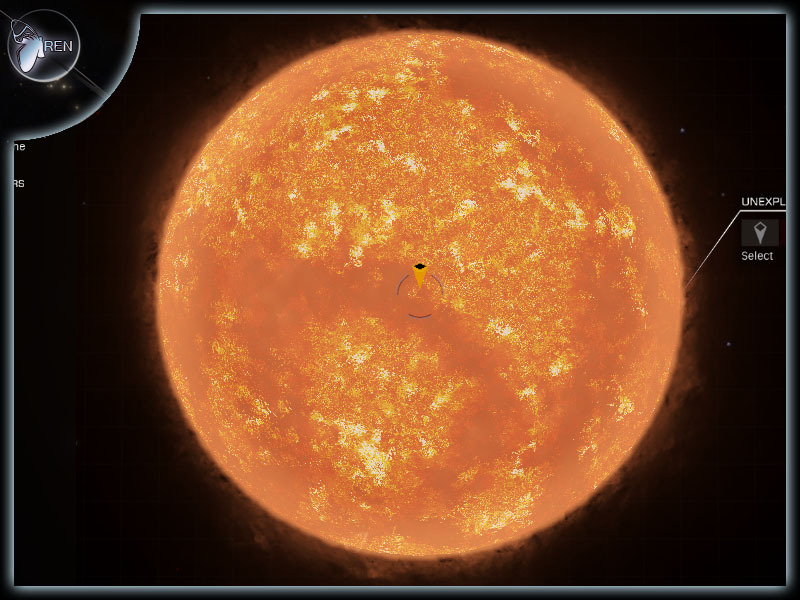 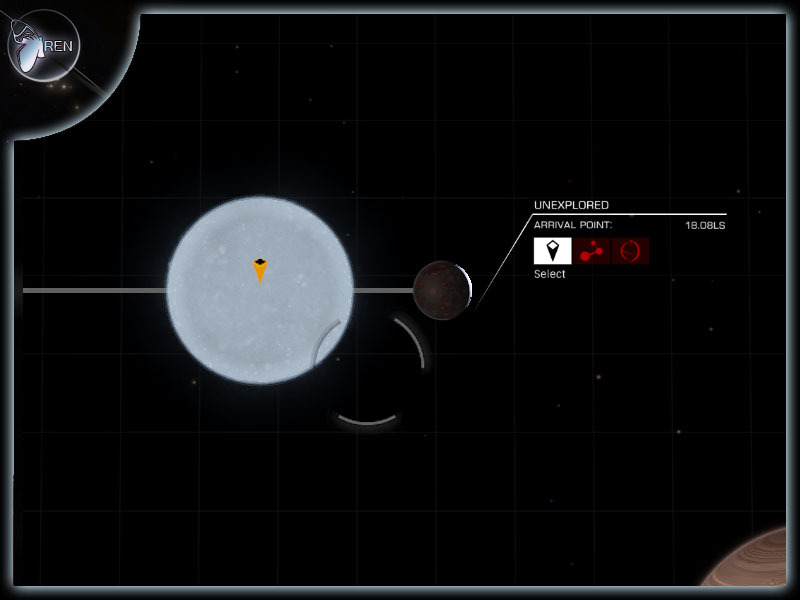 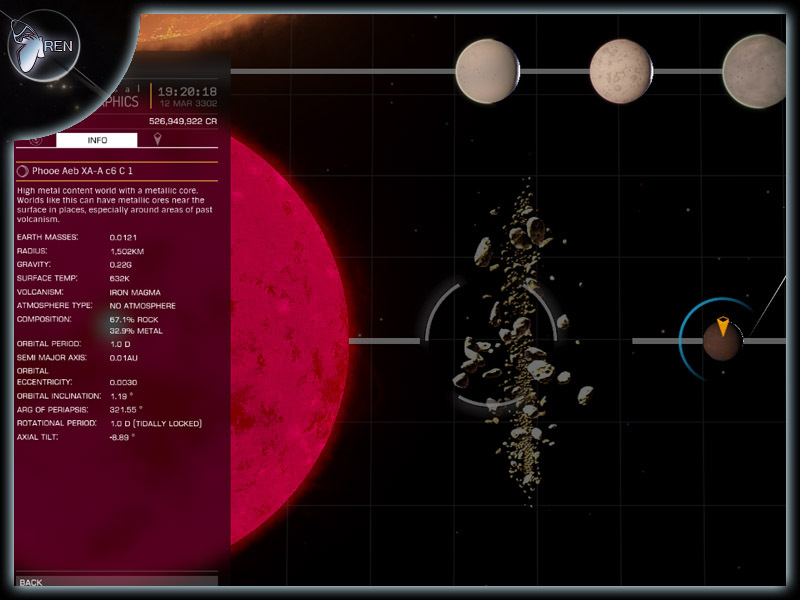 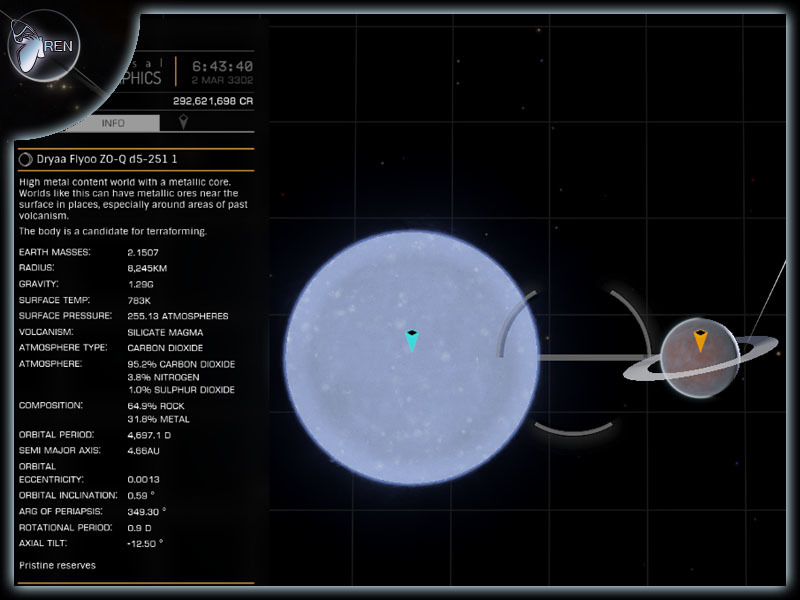 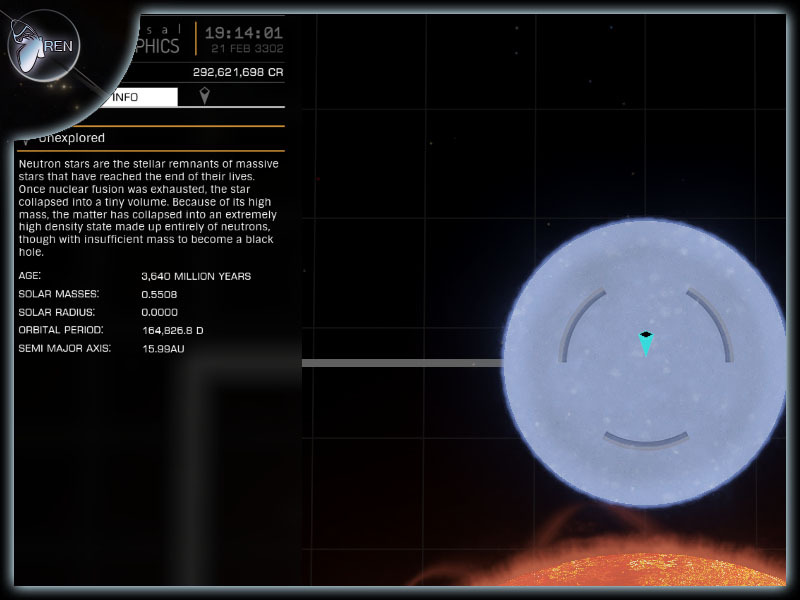 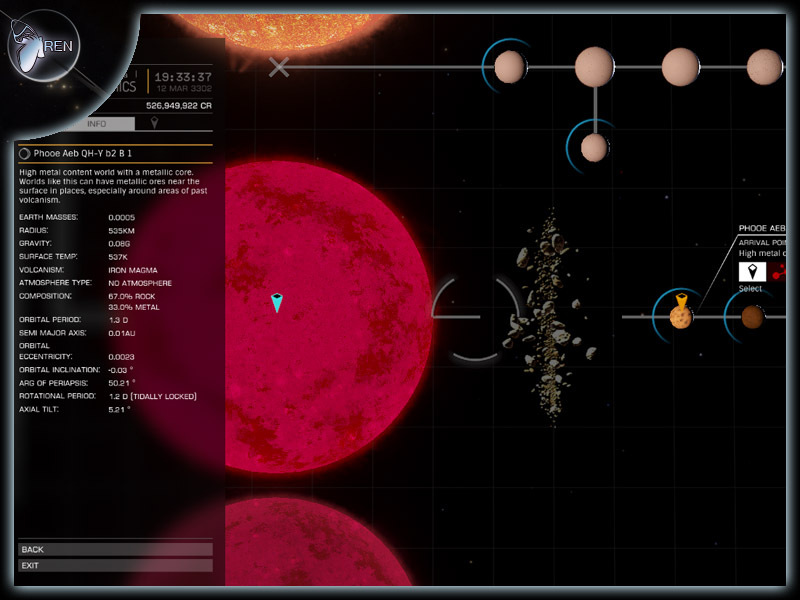 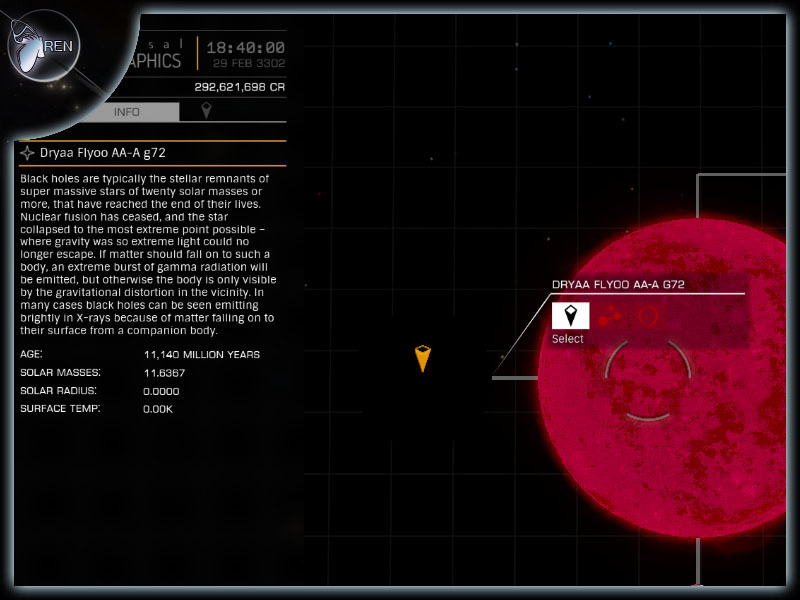 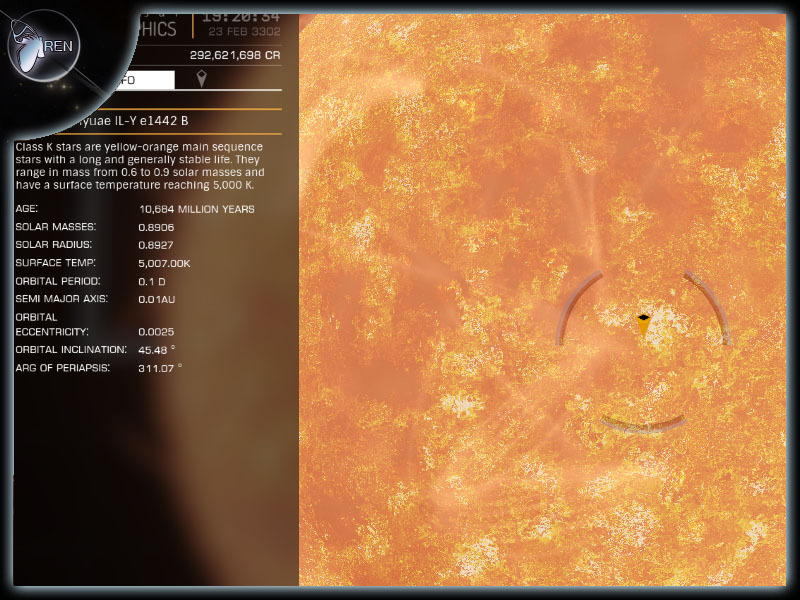 One of the 'O' Class stars has expanded to 100 Solar Radius. 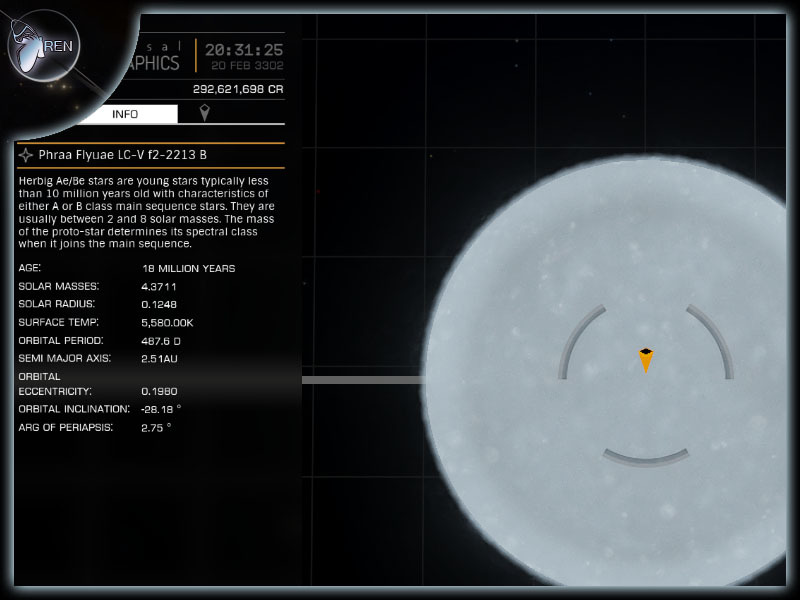 Making this a rare collection of 'O' stars.